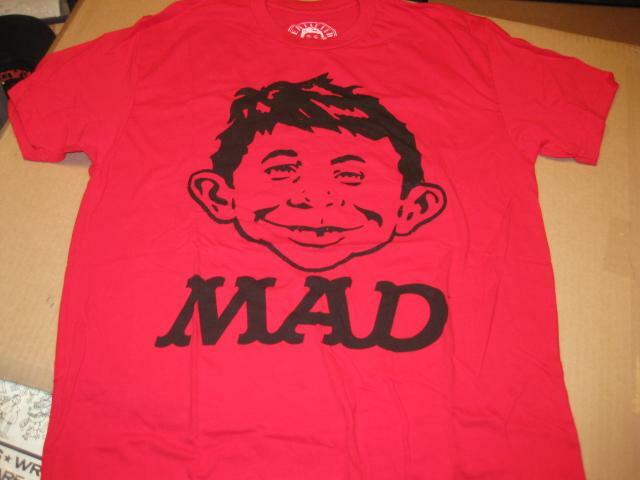 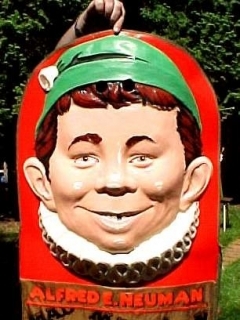 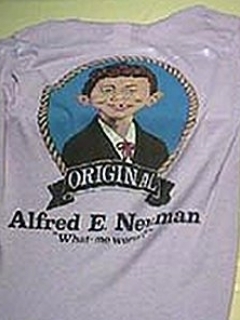 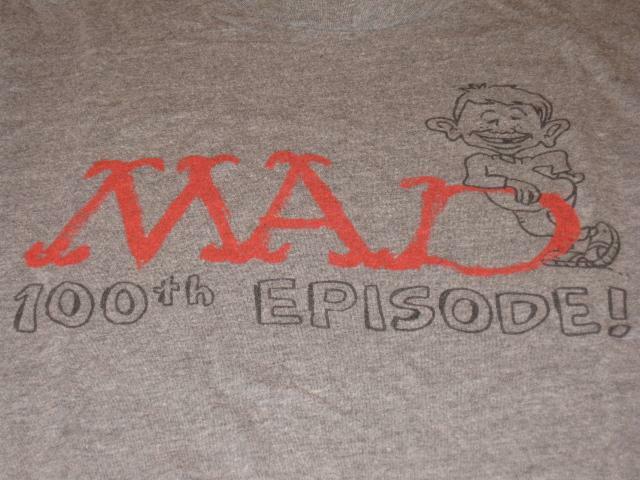 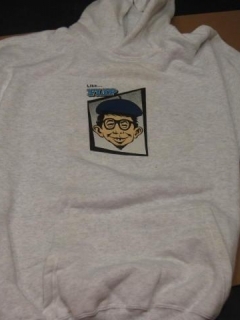 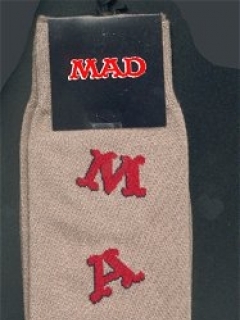 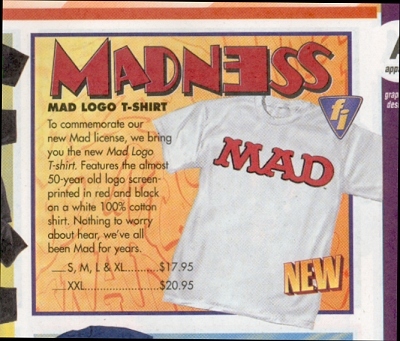 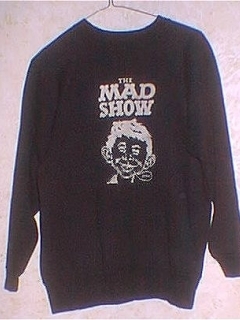 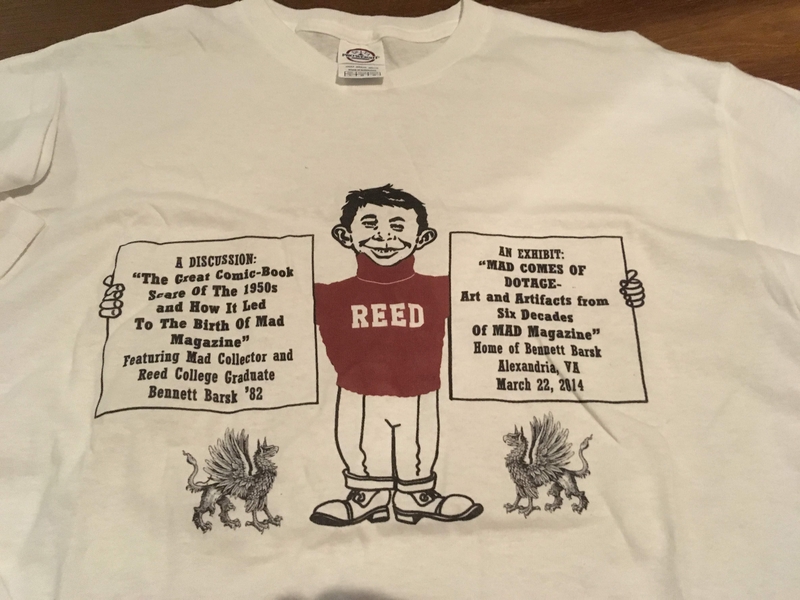 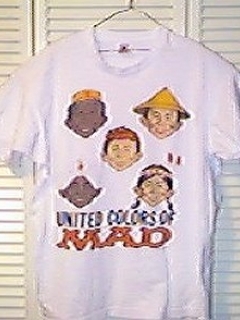 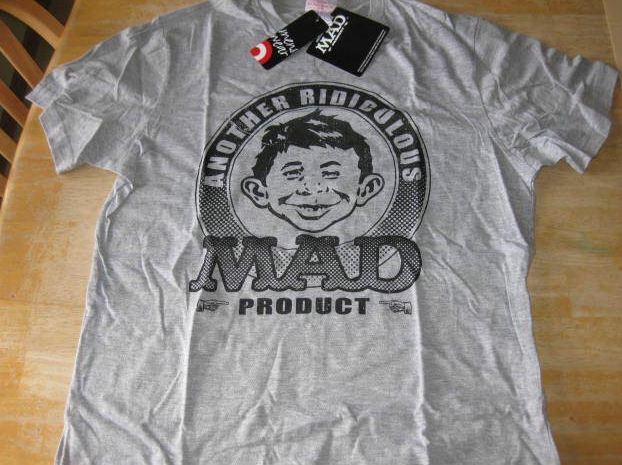 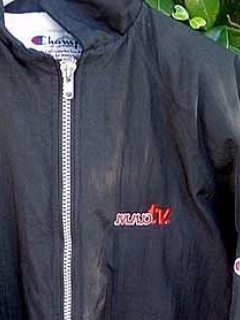 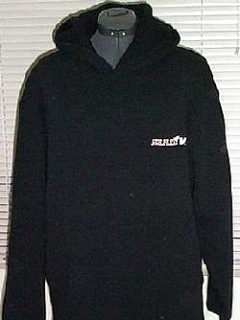 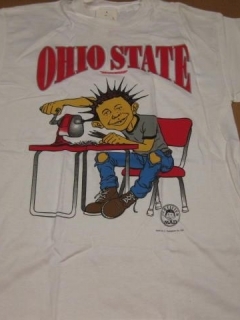 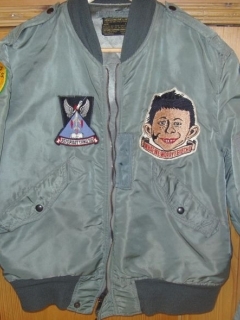 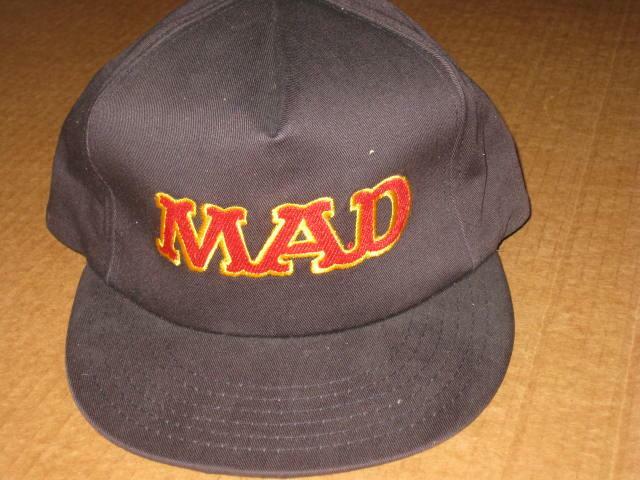 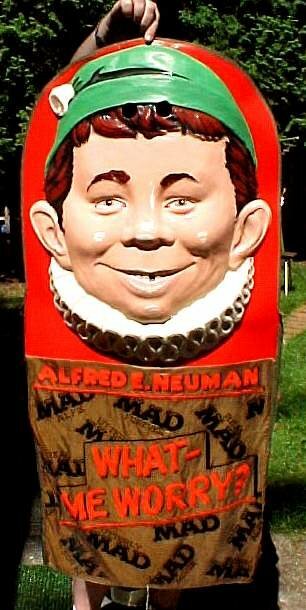 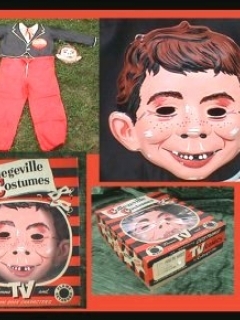 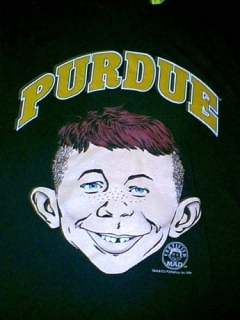 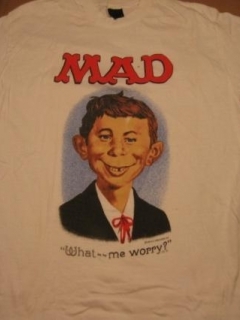 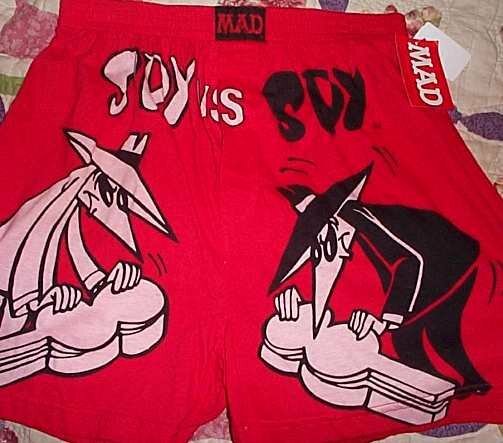 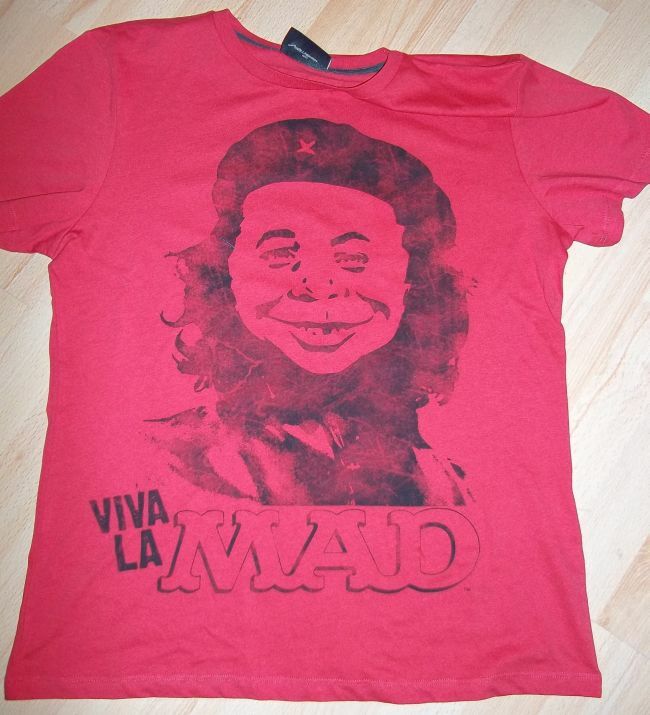 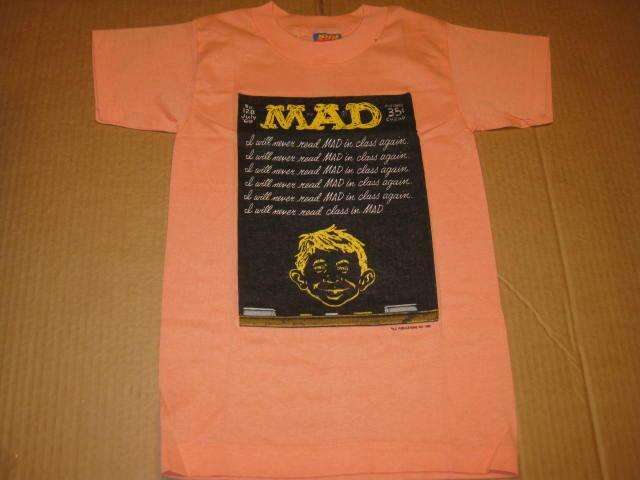 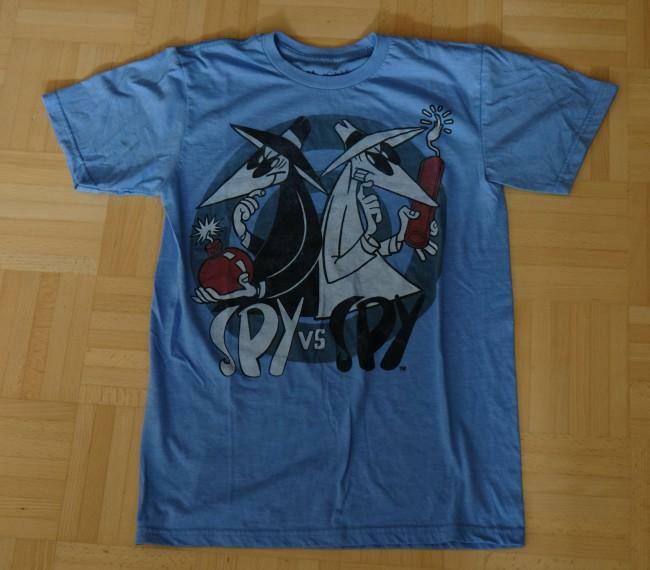 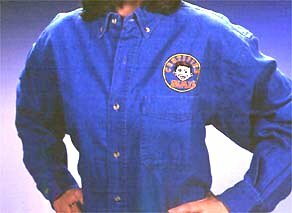 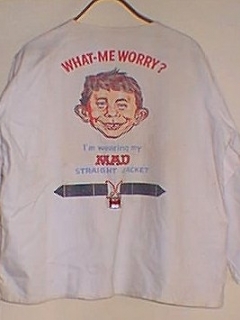 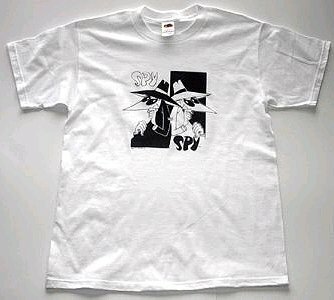 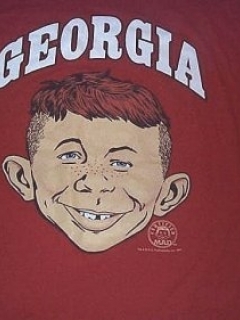 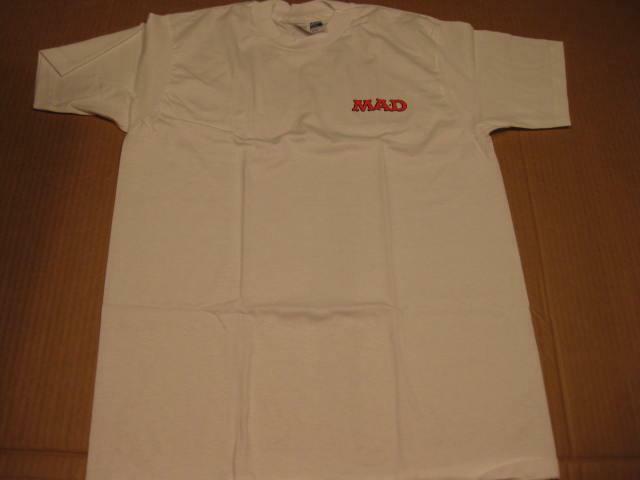 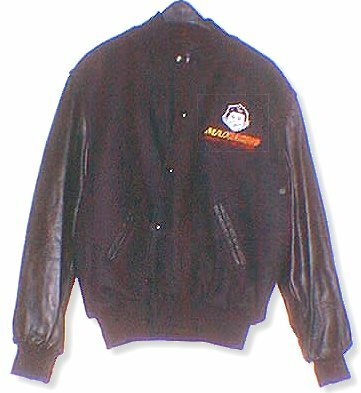 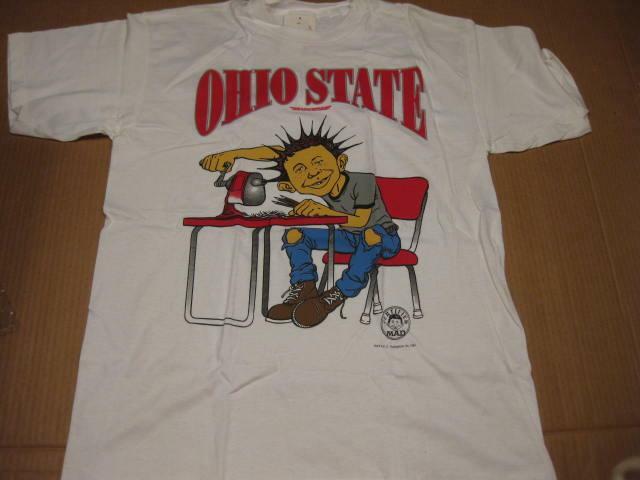 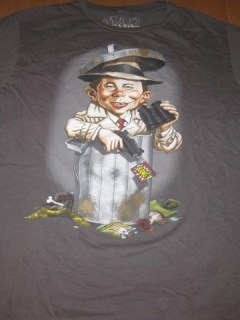 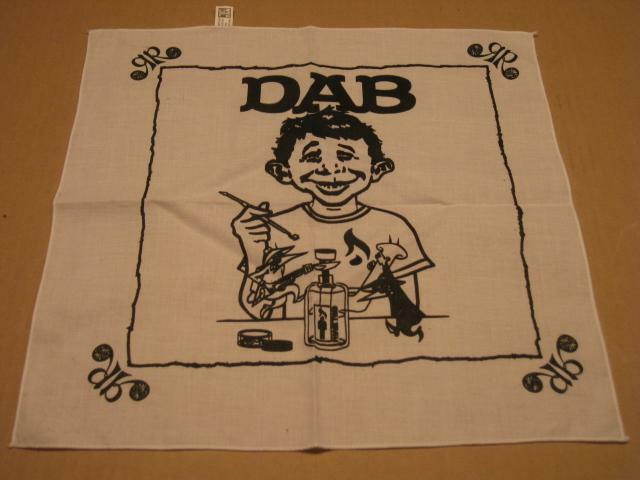 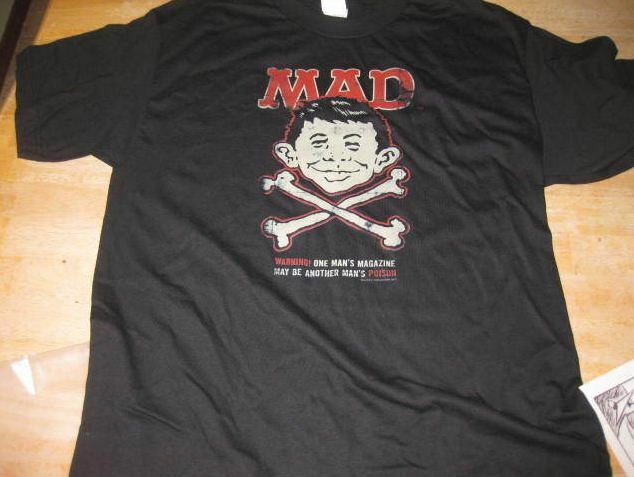 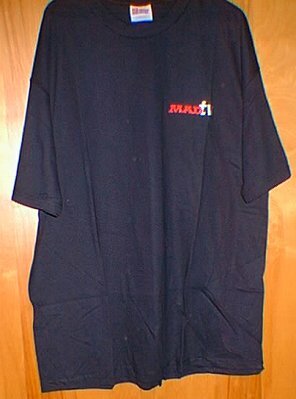 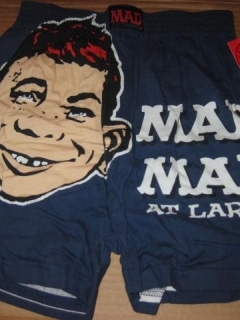 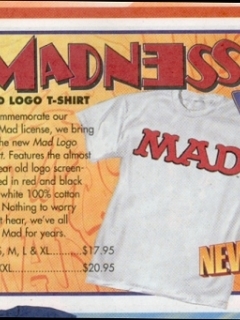 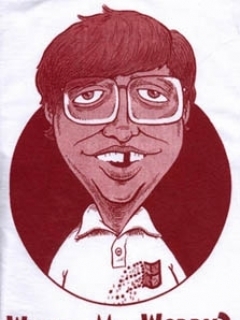 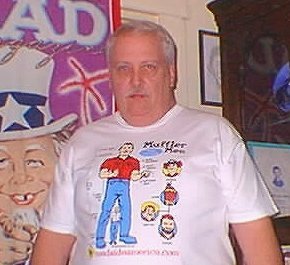 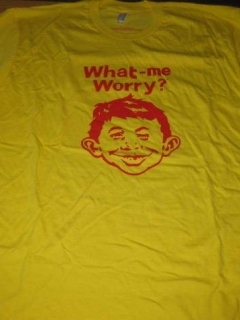 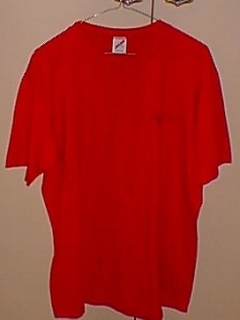 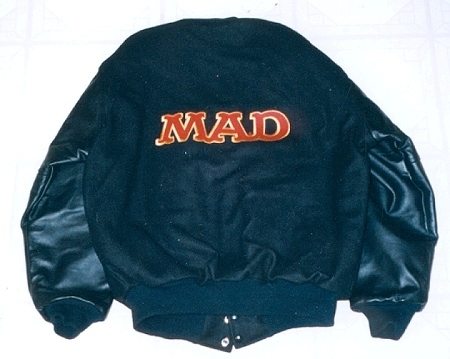 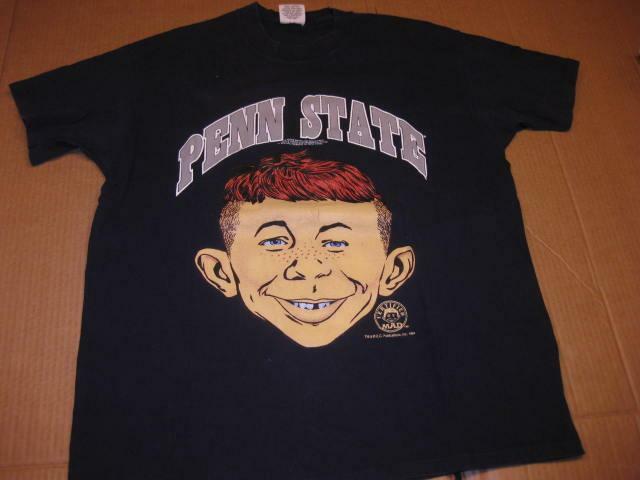 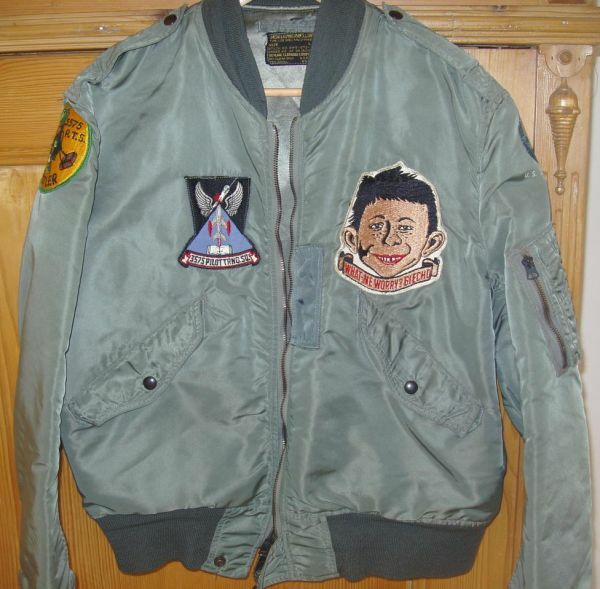 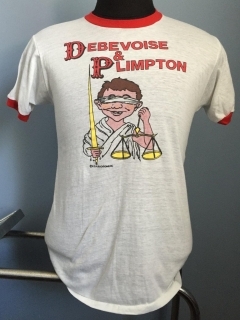 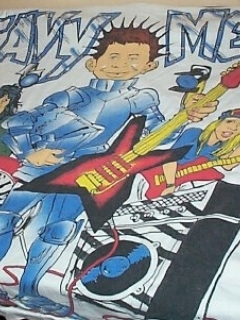 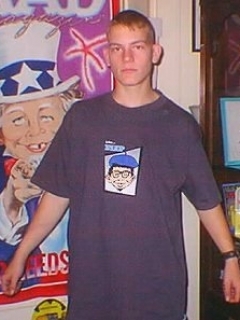 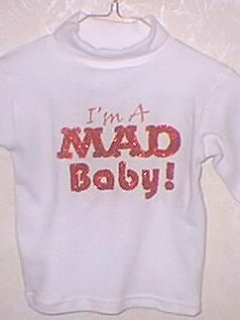 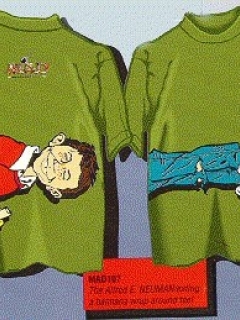 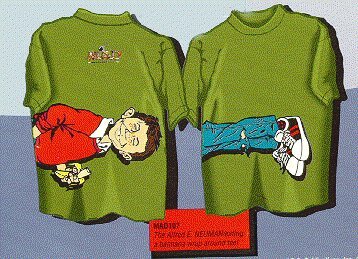 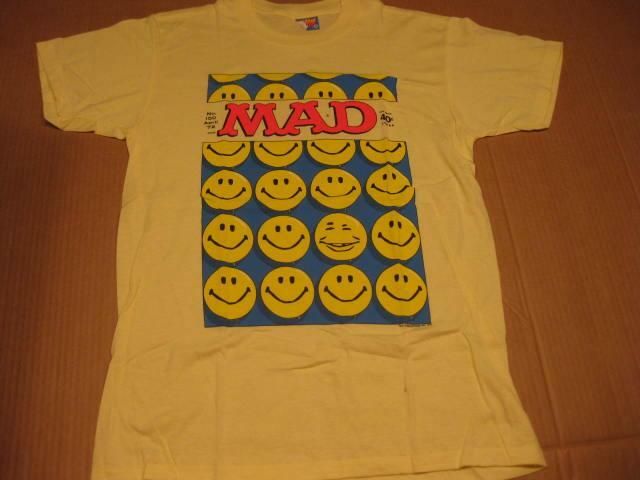 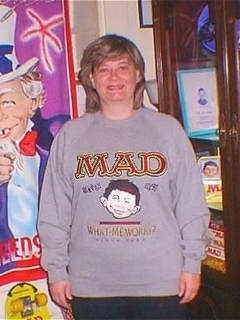 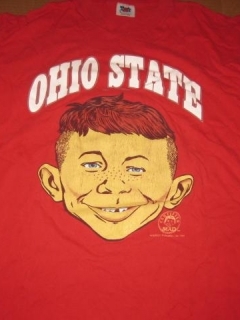 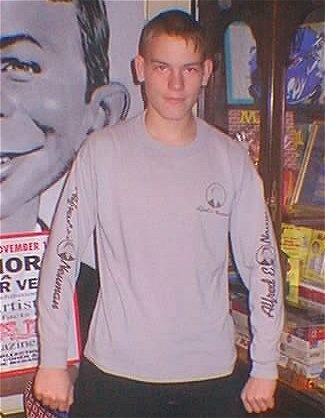 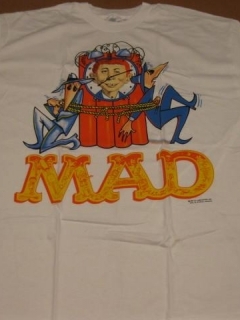 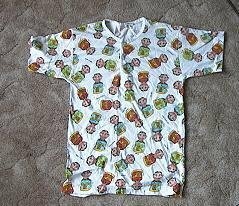 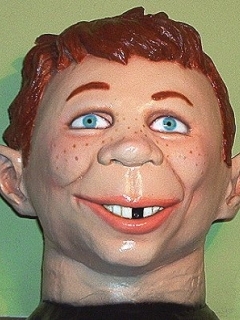 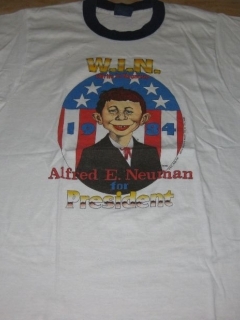 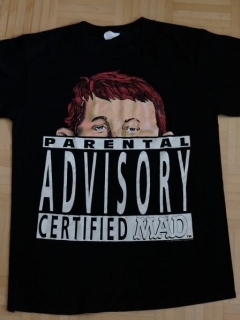 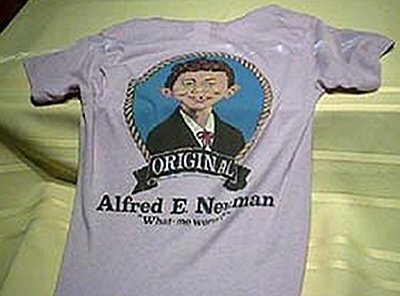 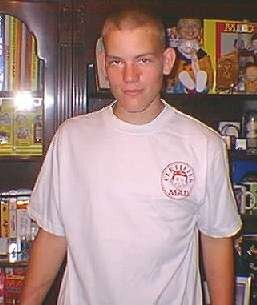 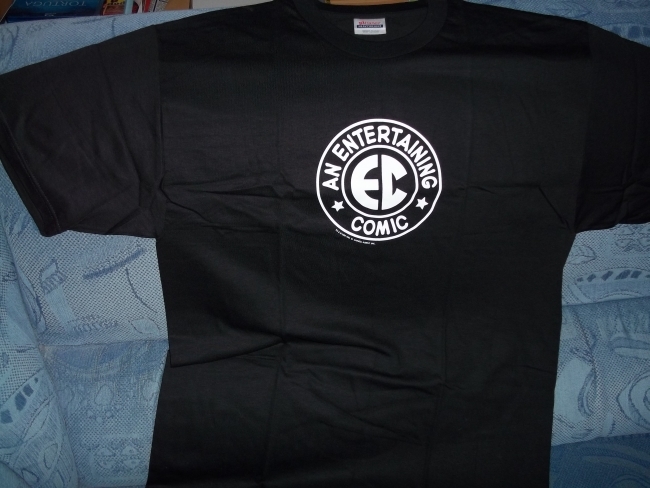 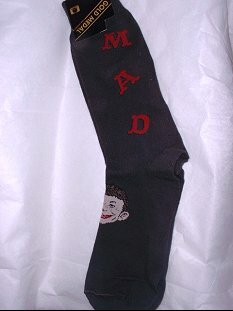 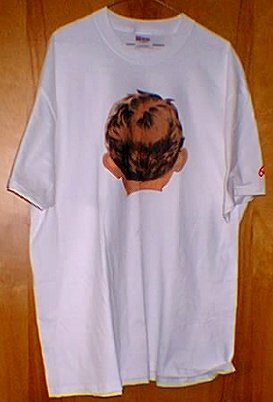 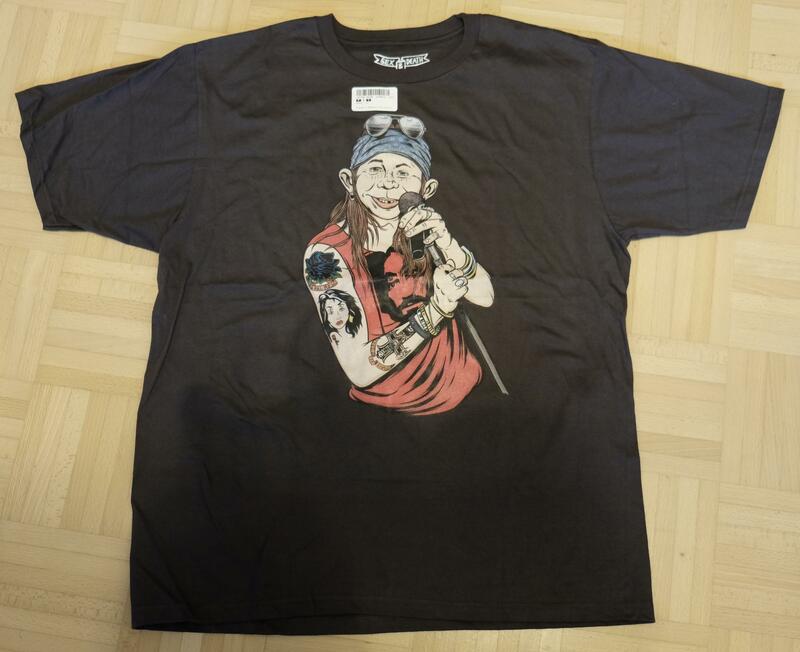 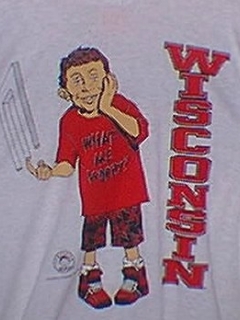 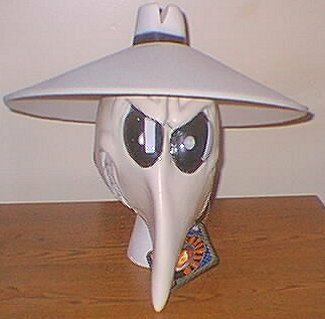 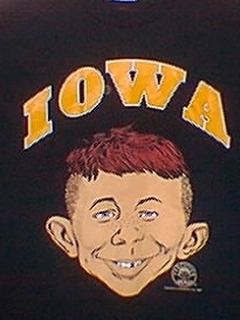 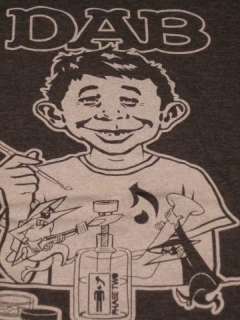 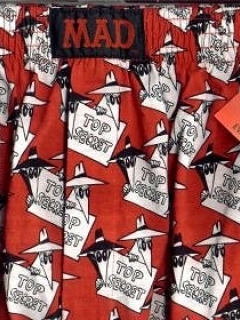 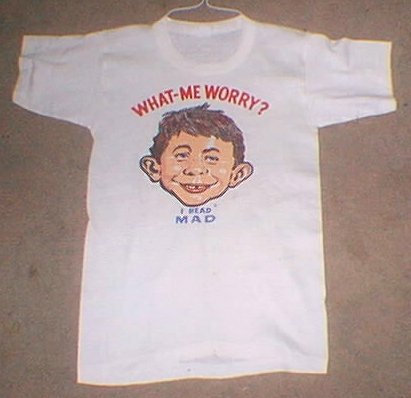 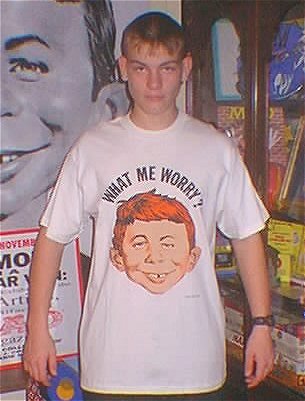 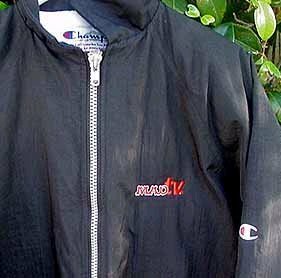 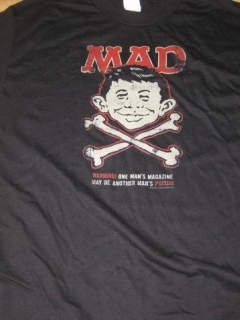 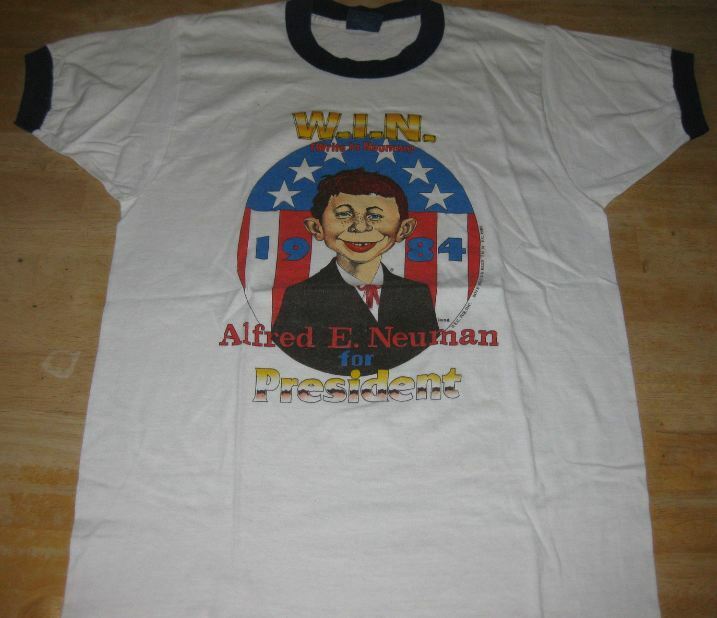 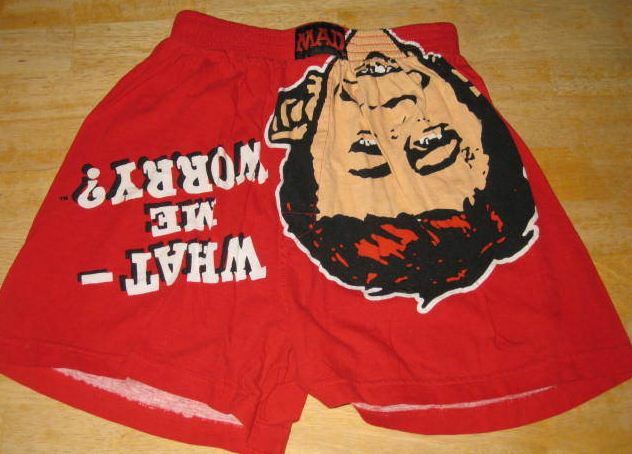 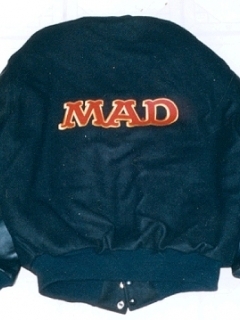 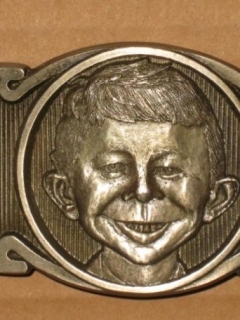 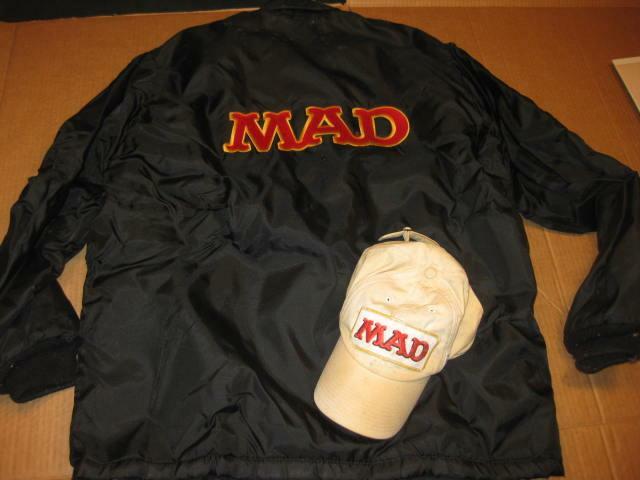 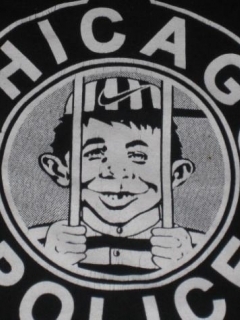 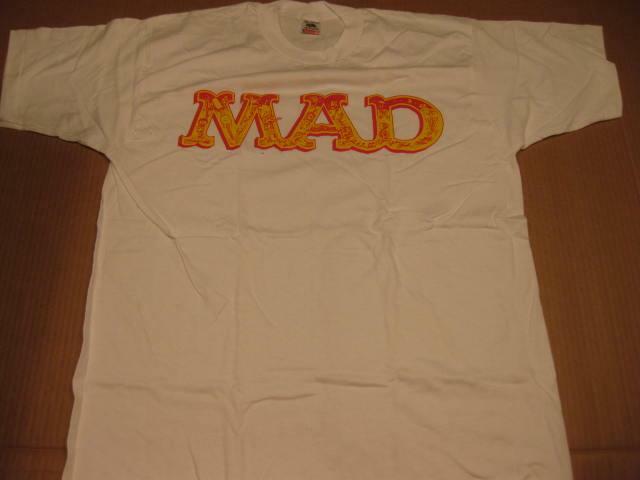 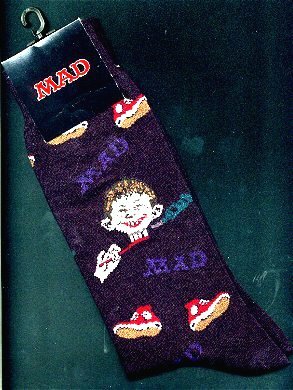 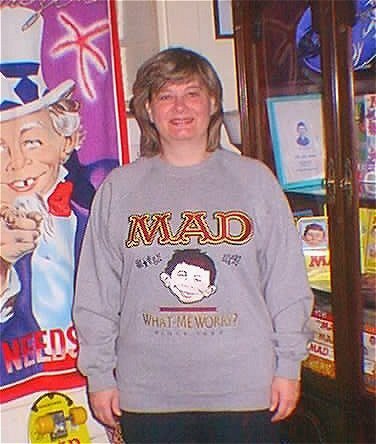 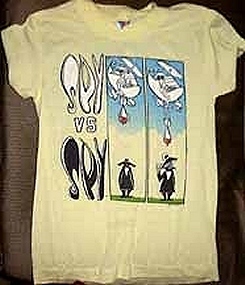 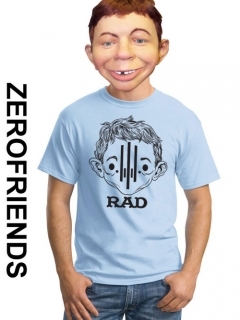 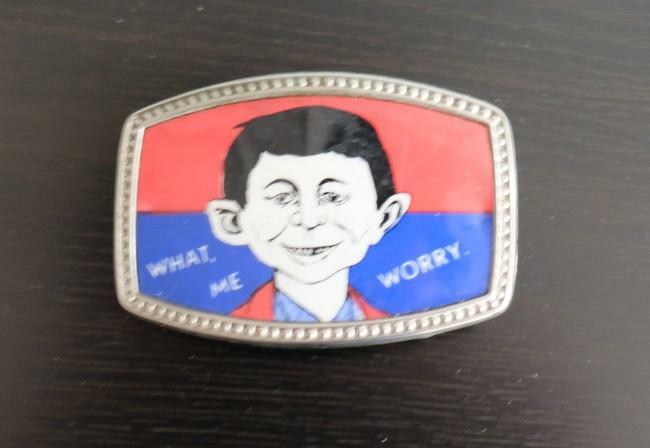 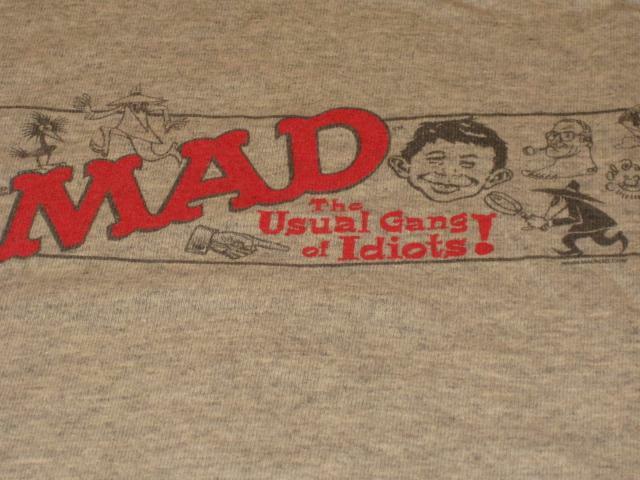 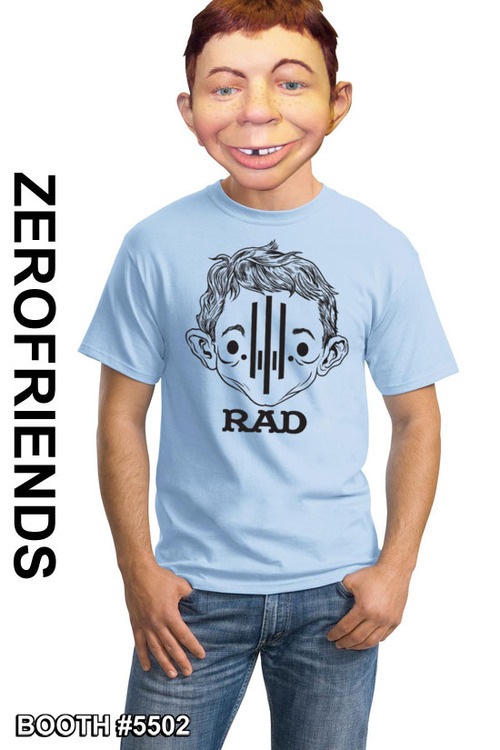 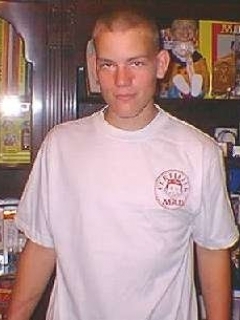 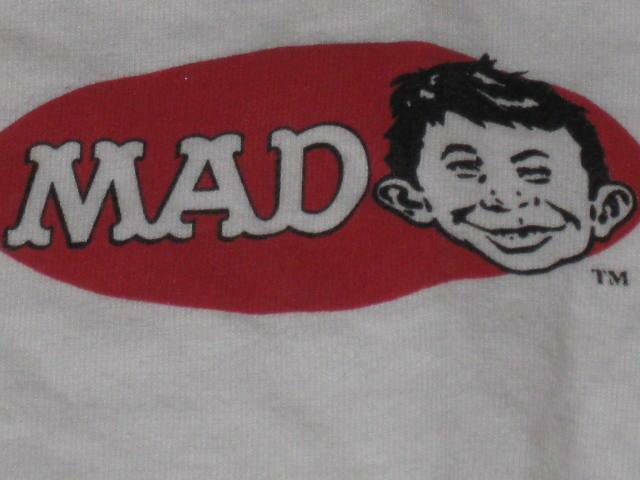 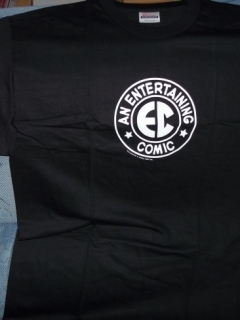 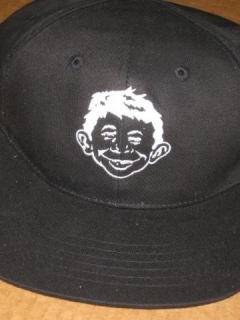 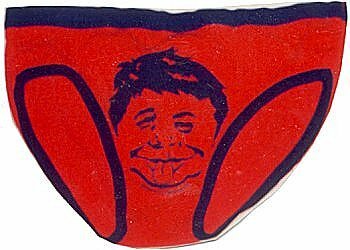 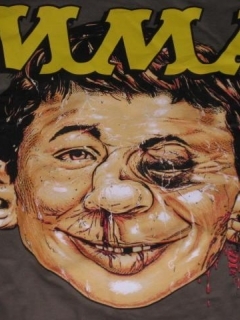 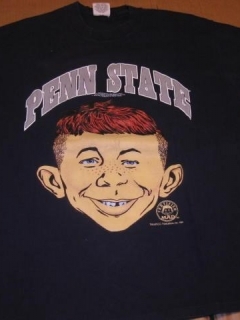 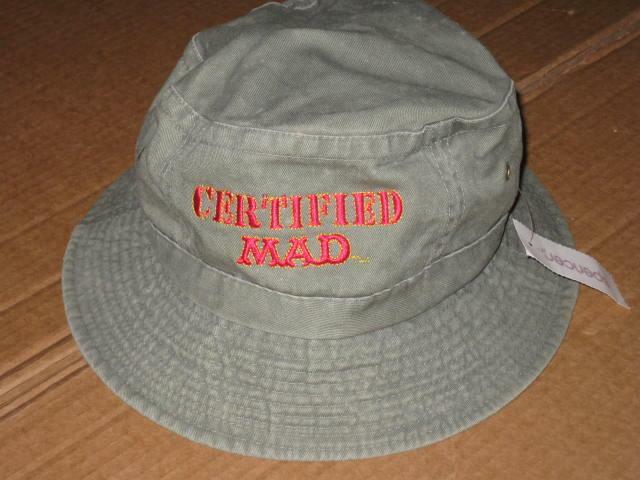 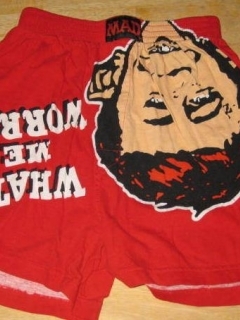 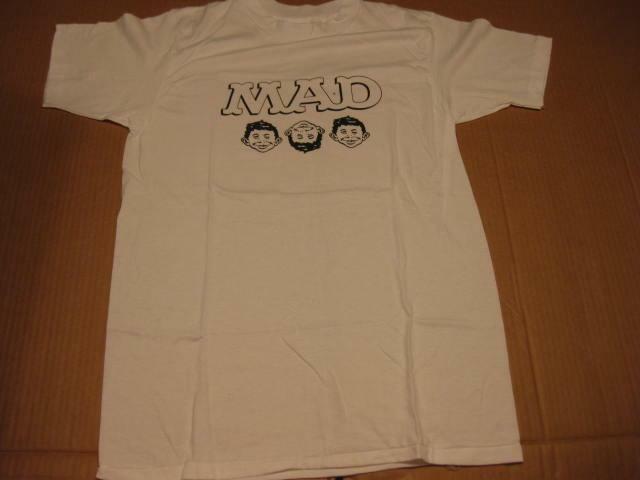 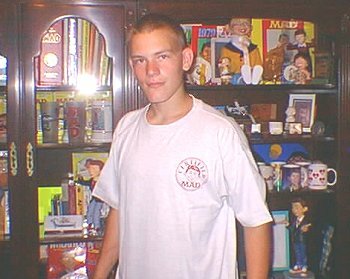 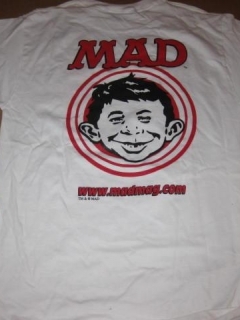 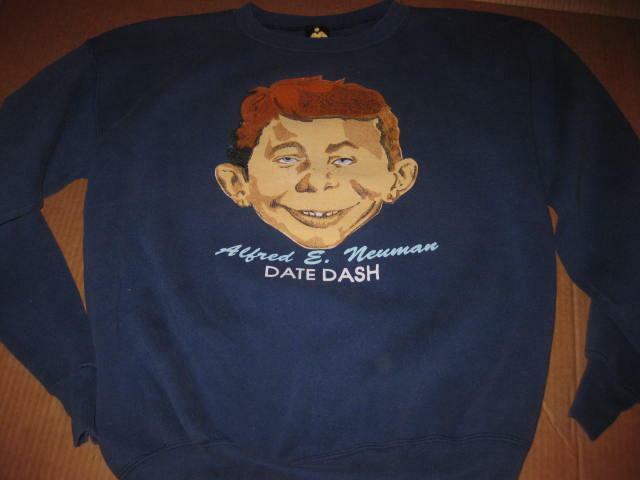 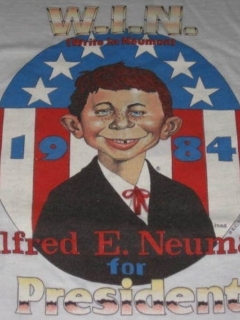 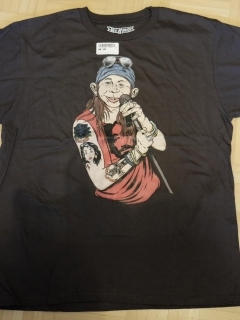 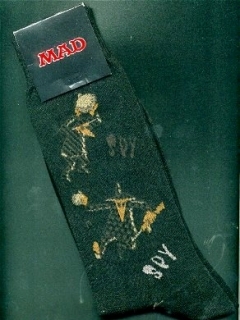 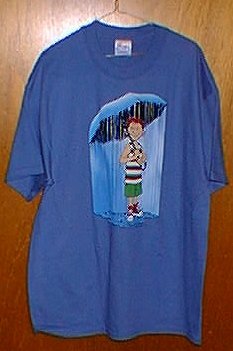 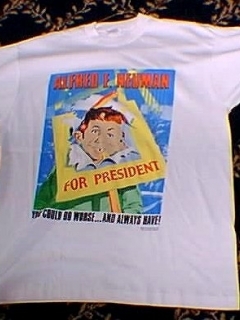 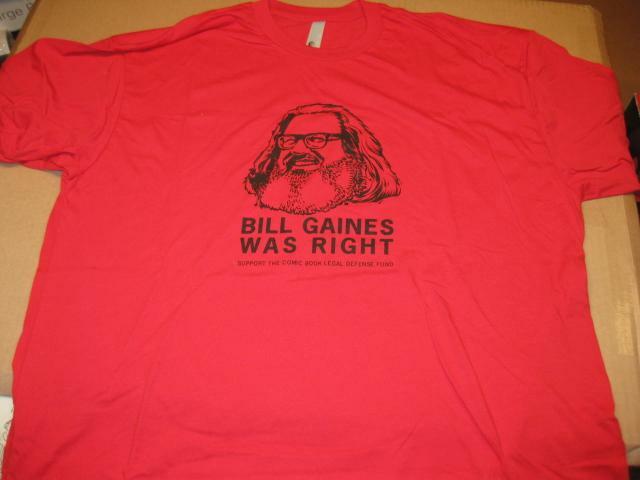 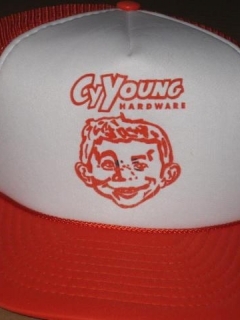 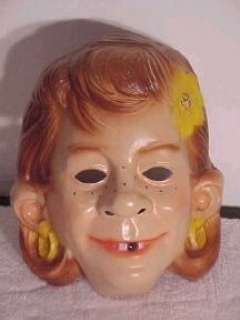 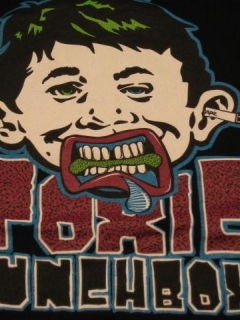 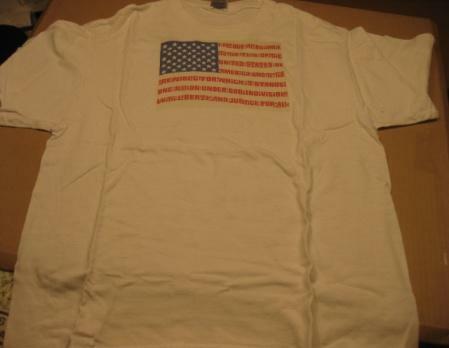 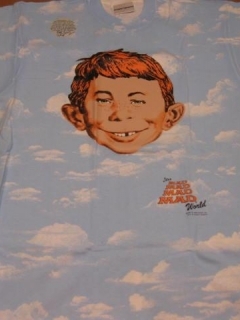 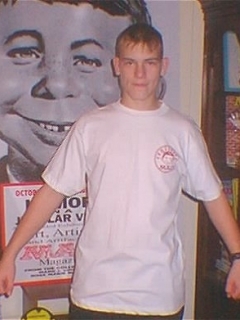 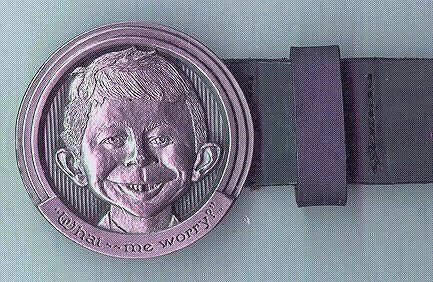 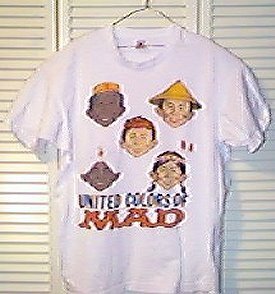 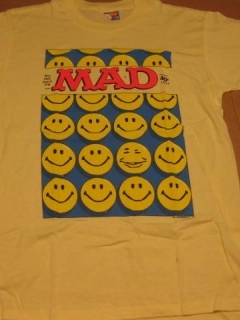 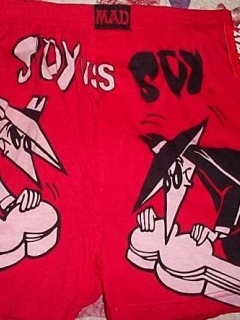 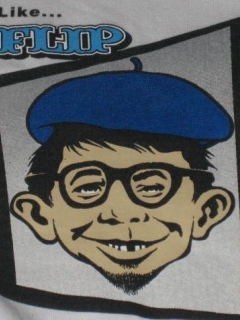 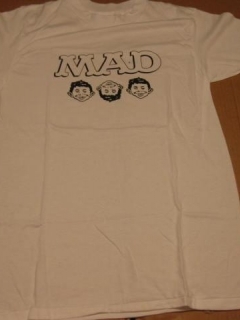 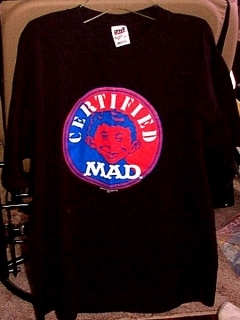 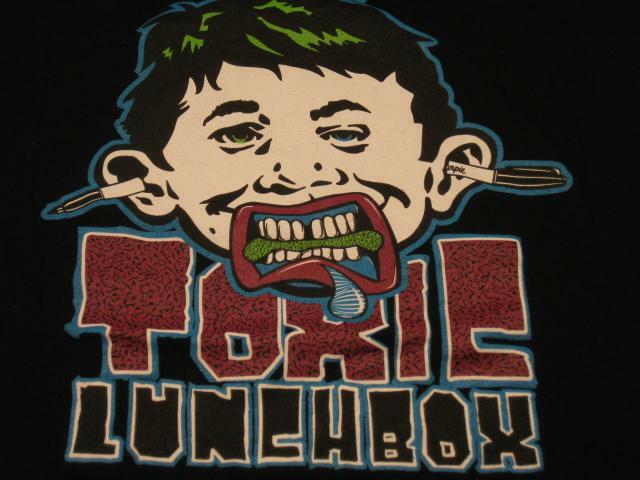 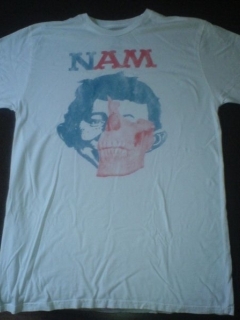 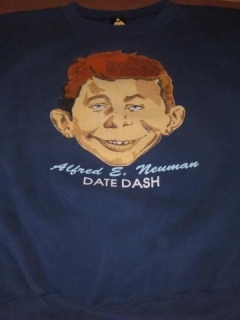 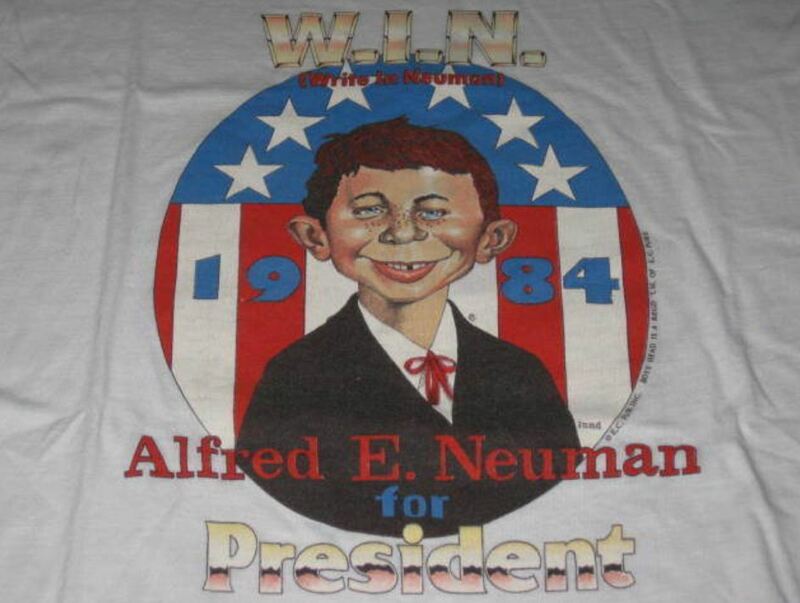 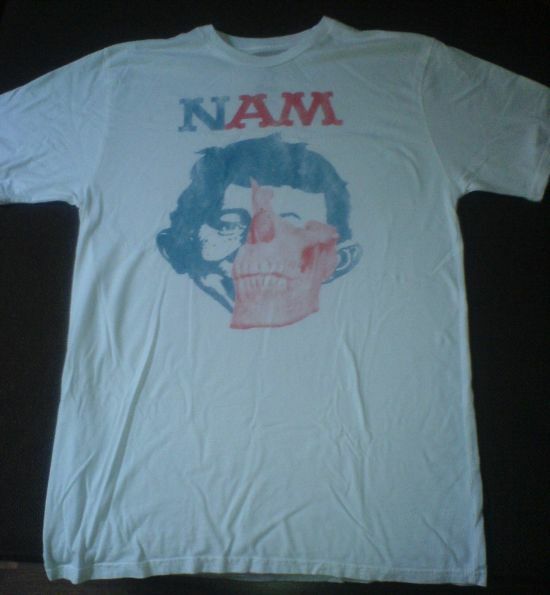 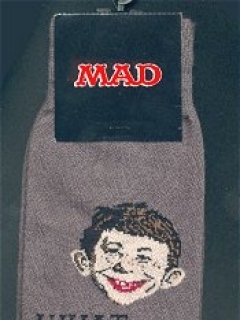 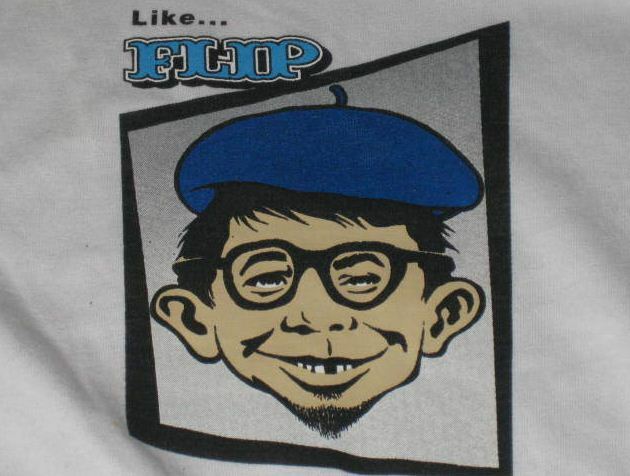 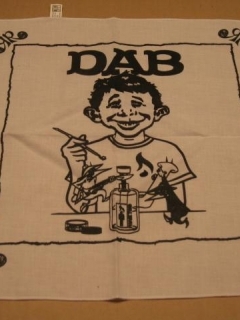 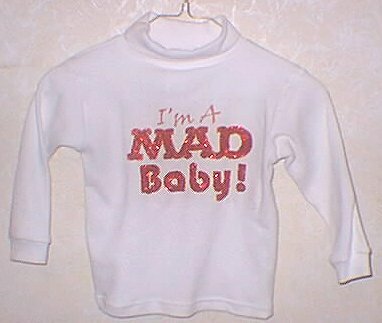 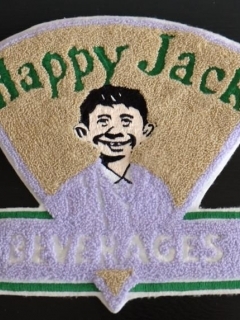 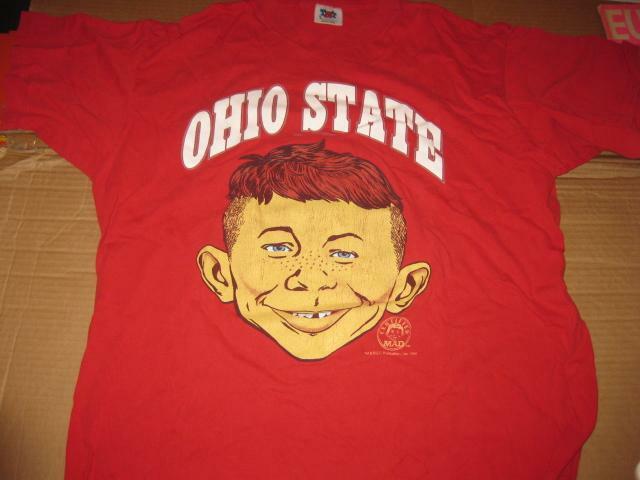 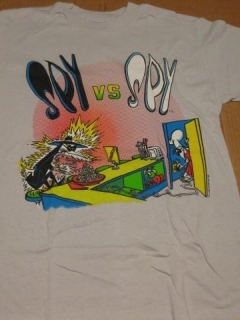 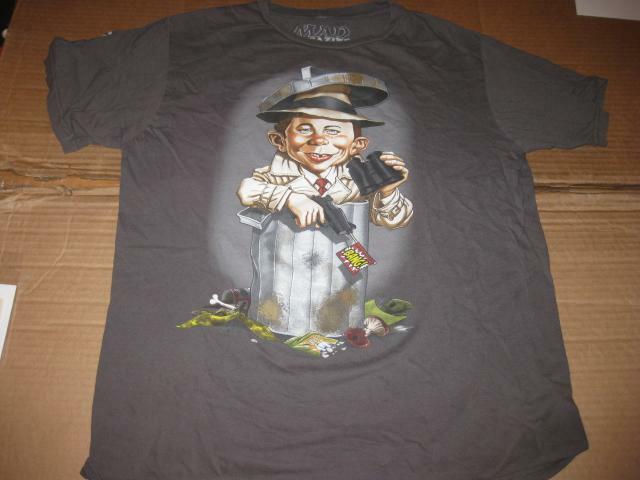 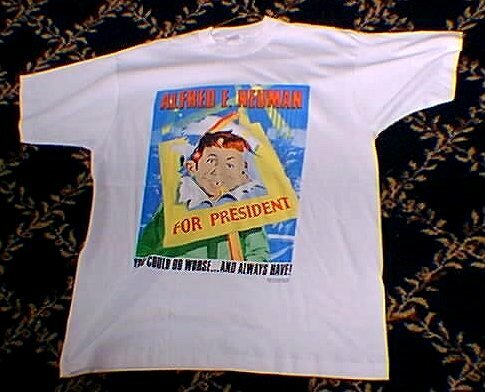 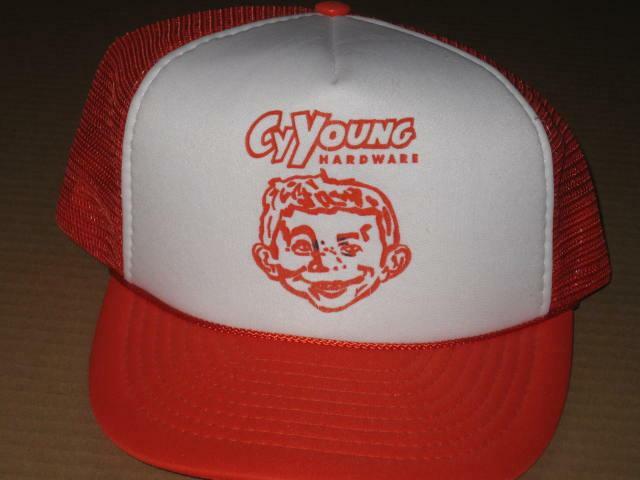 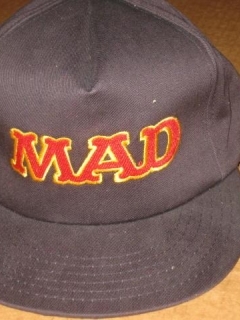 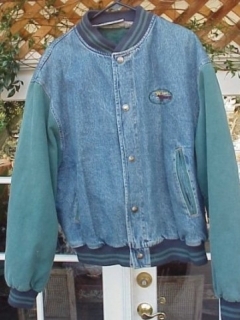 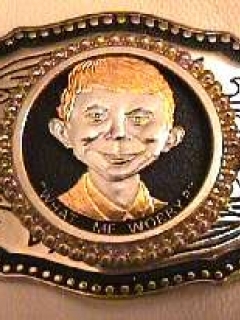 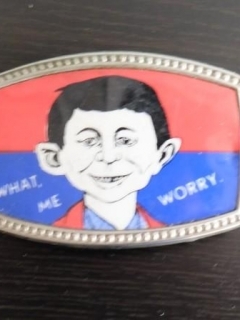 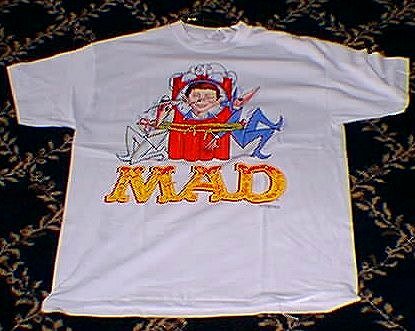 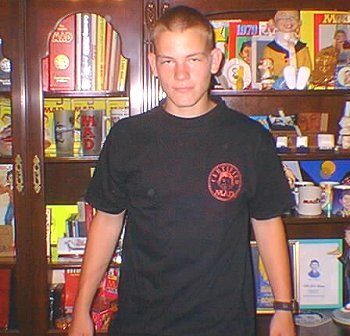 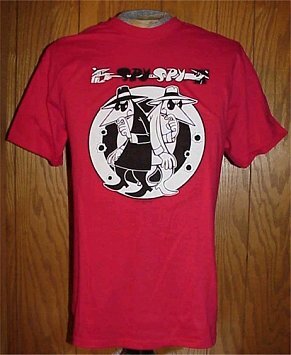 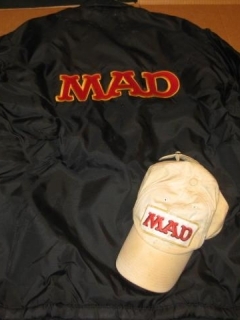 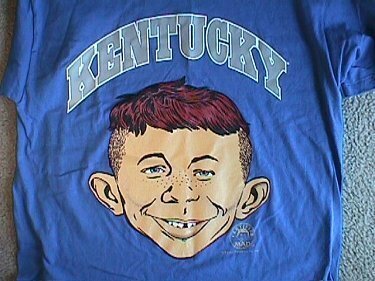 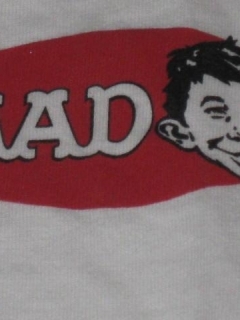 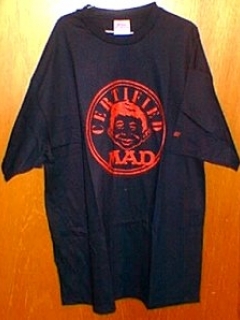 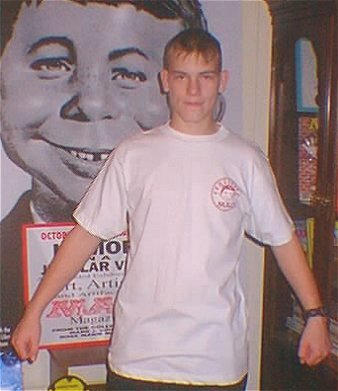 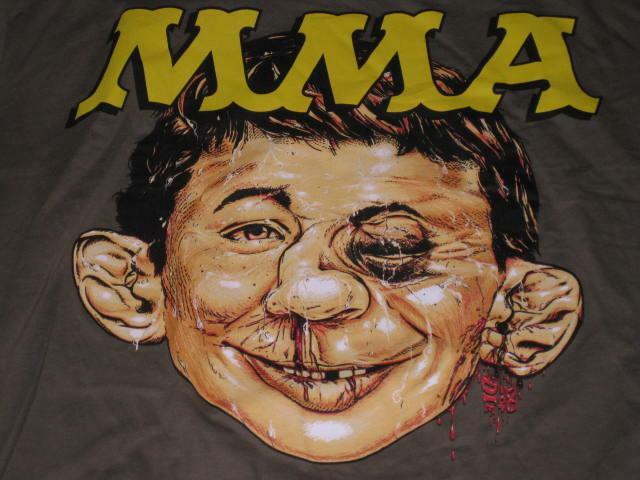 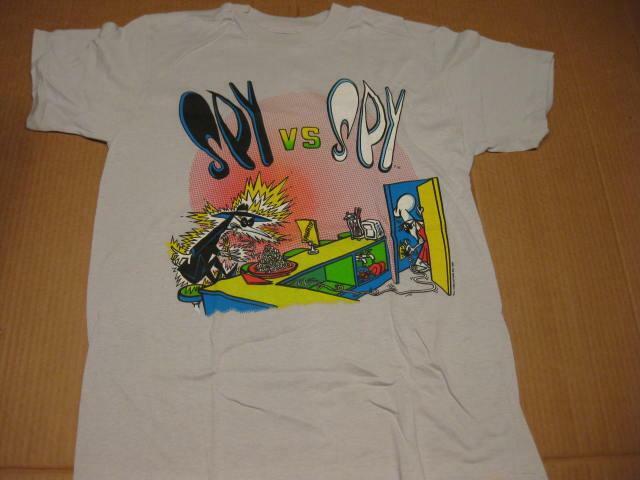 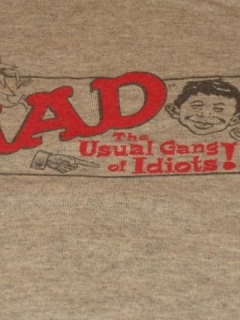 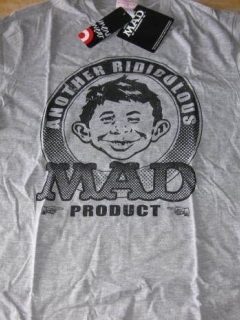 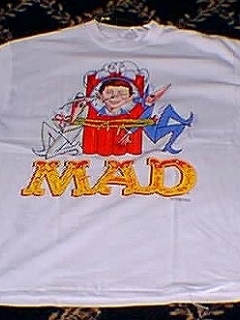 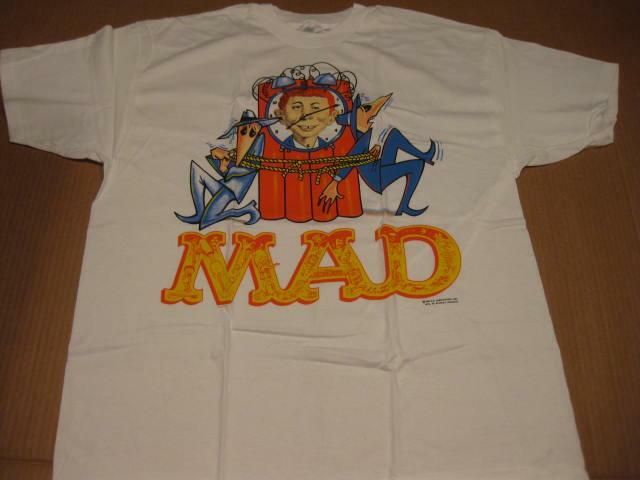 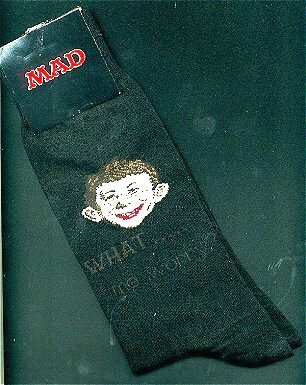 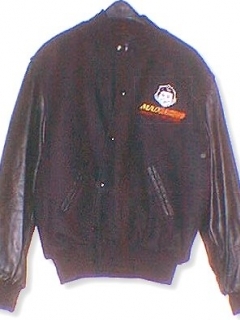 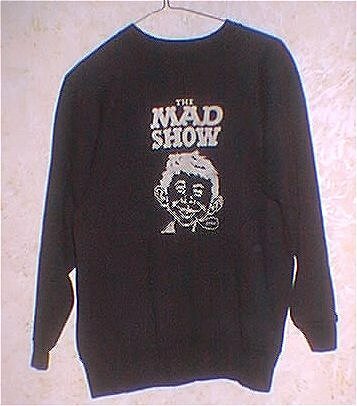 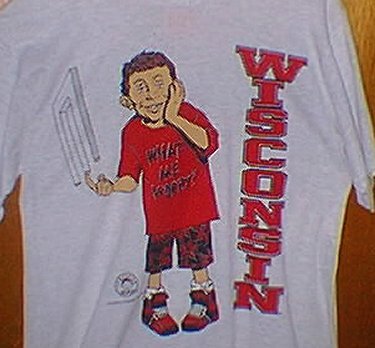 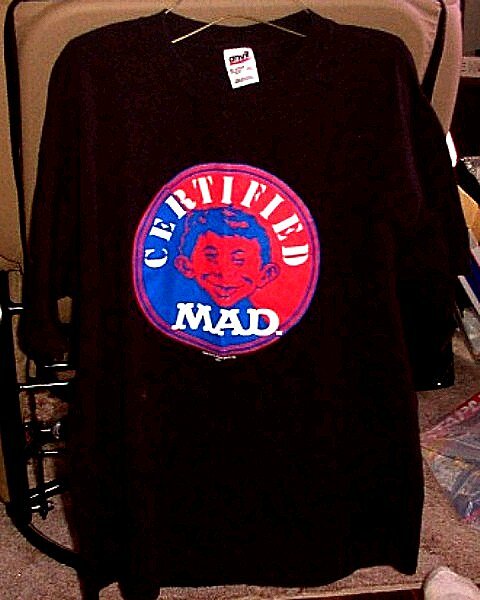 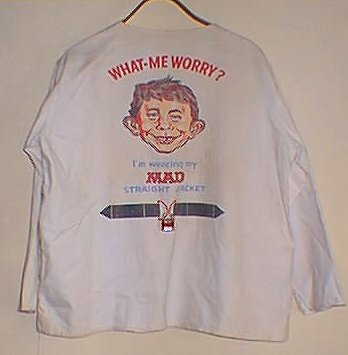 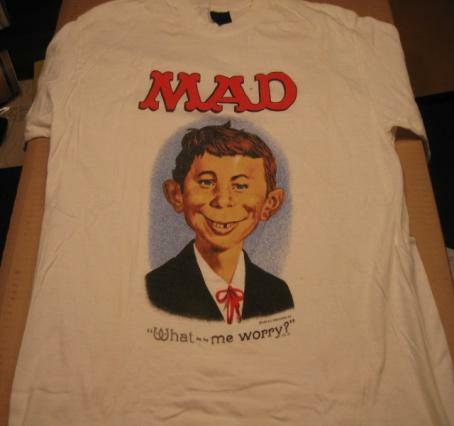 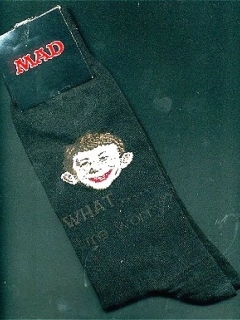 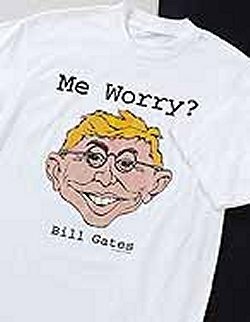 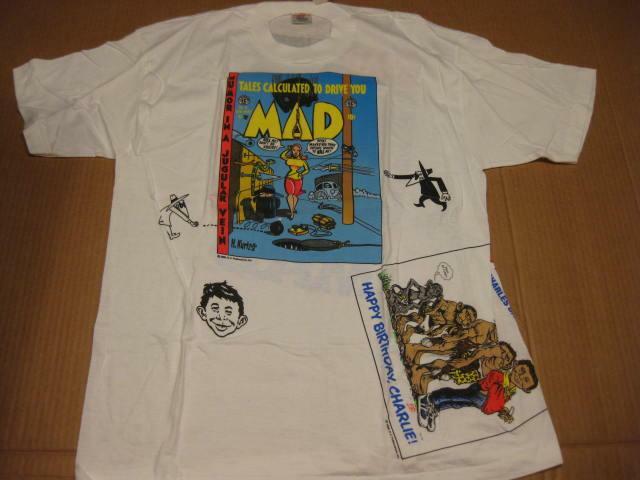 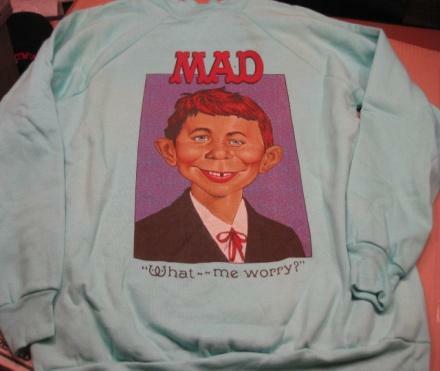 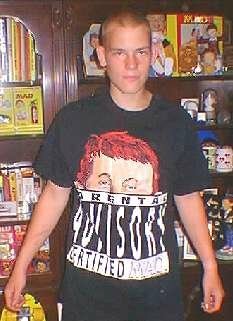 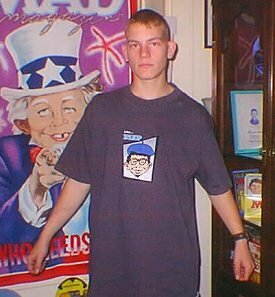 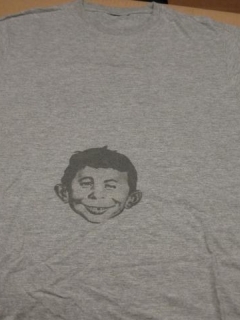 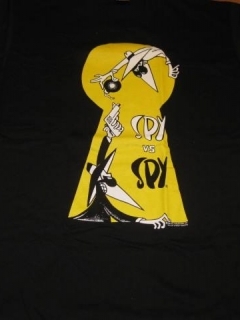 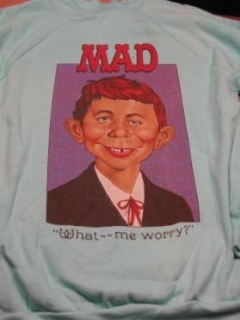 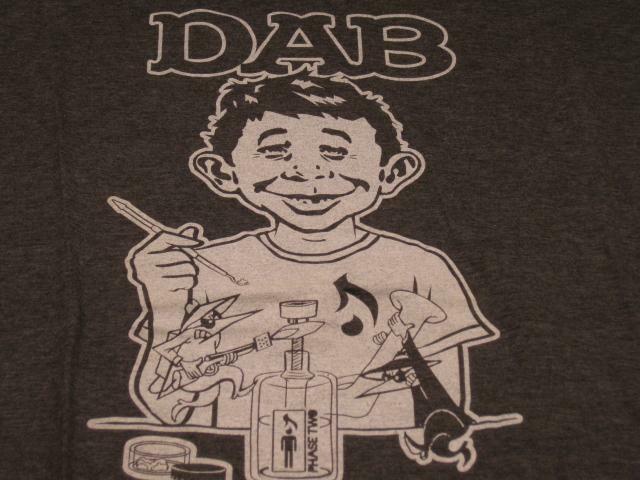 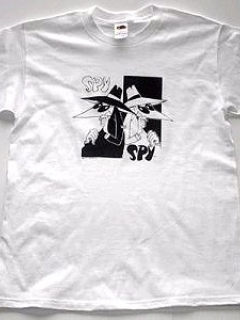 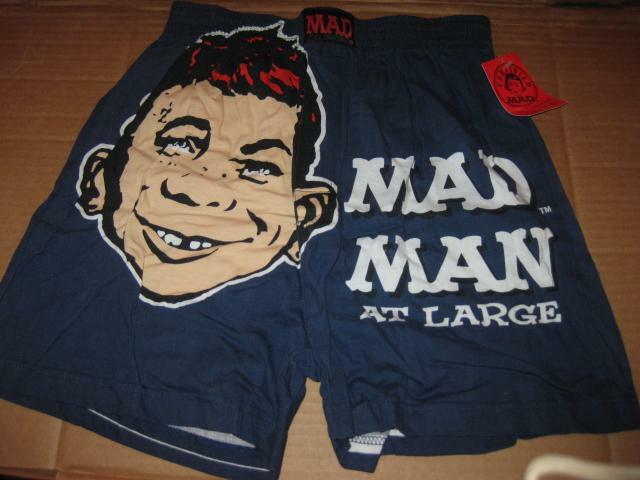 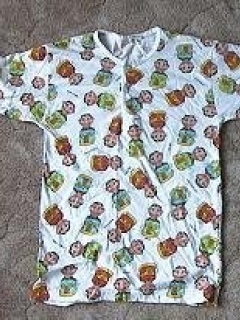 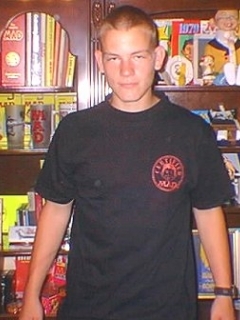 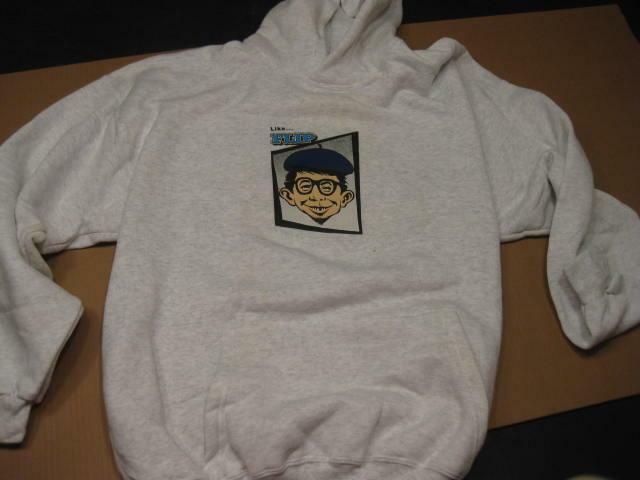 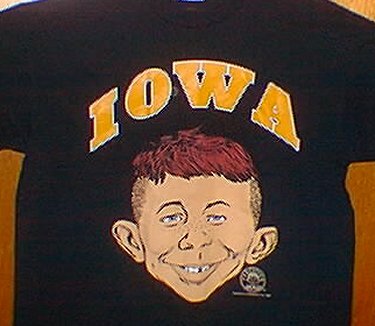 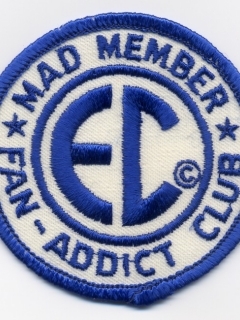 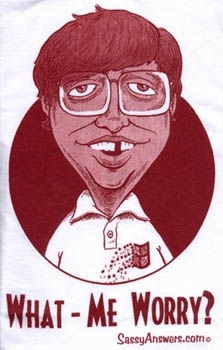 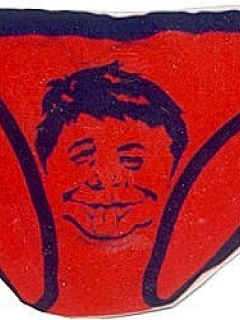 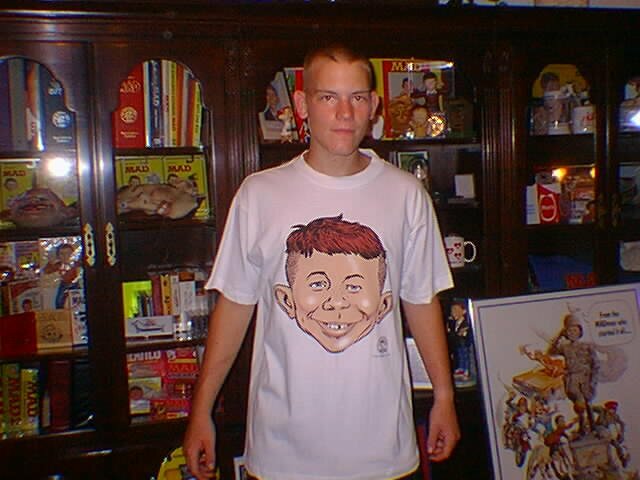 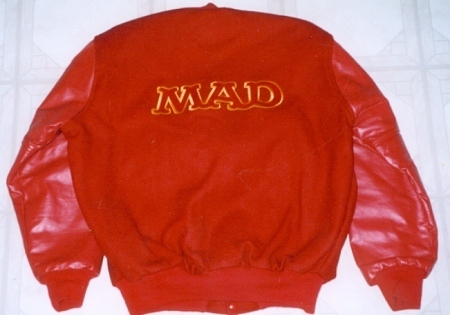 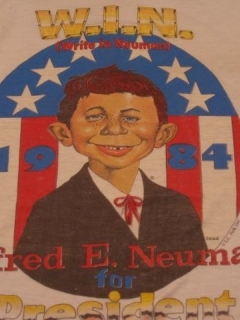 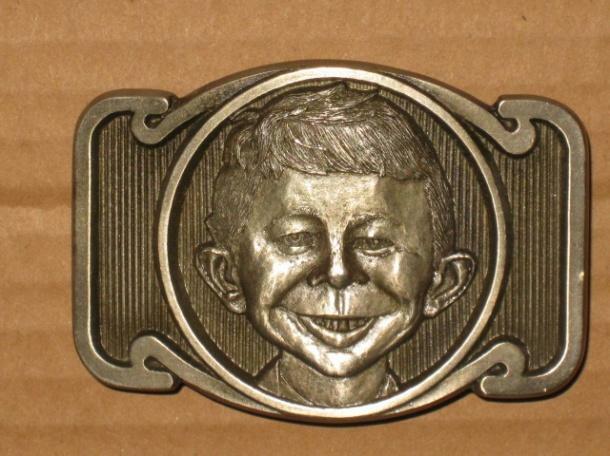 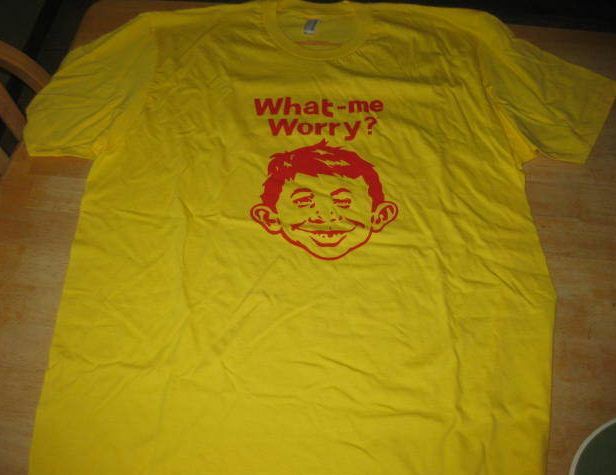 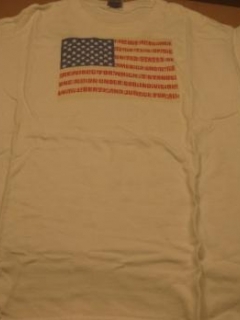 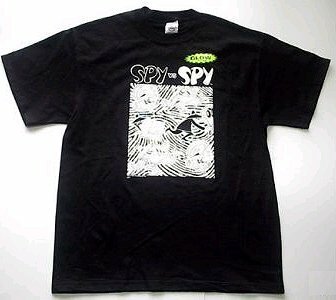 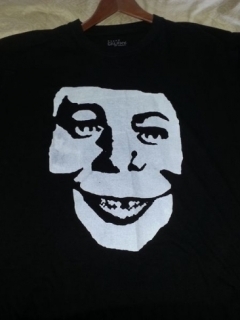 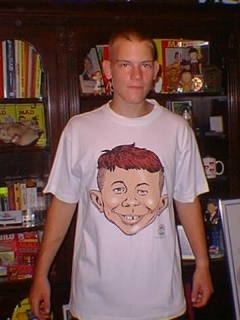 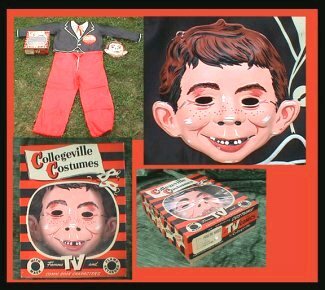 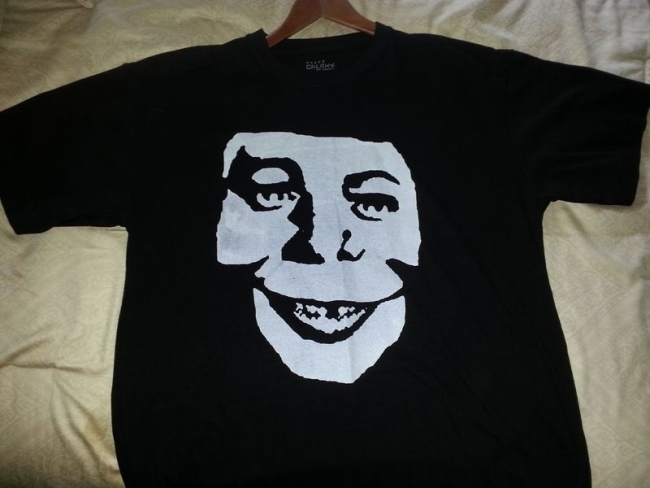 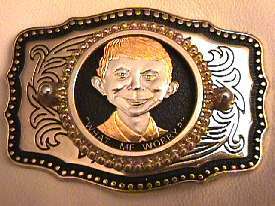 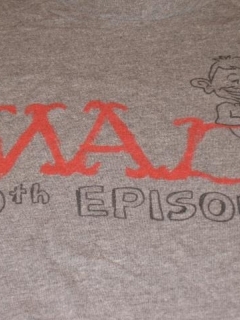 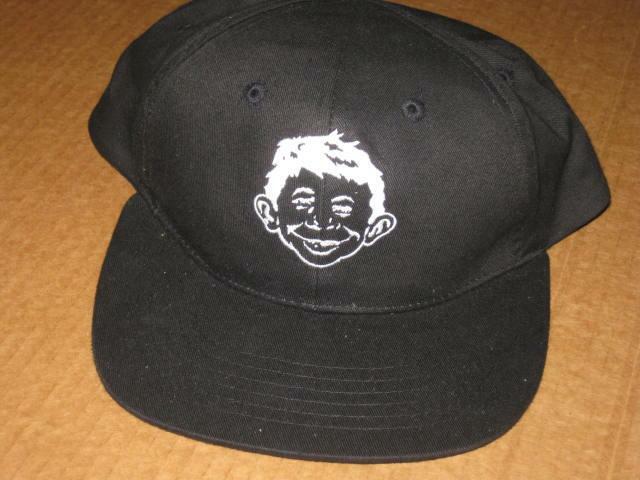 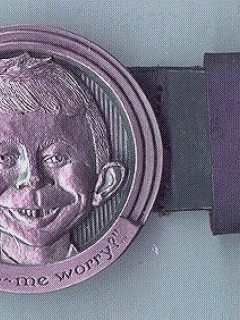 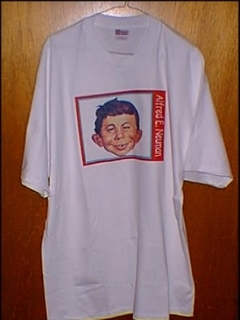 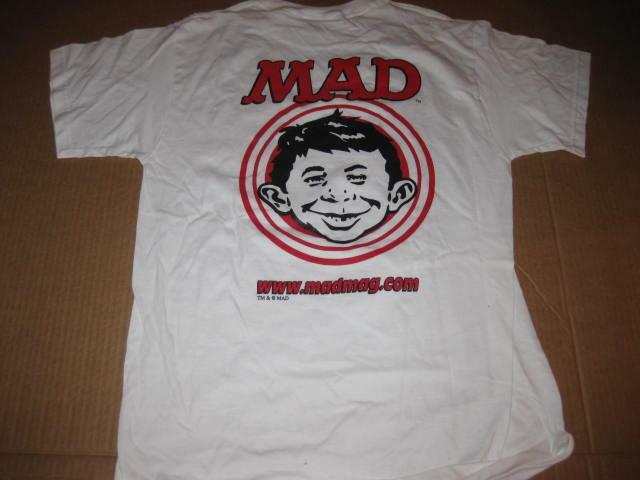 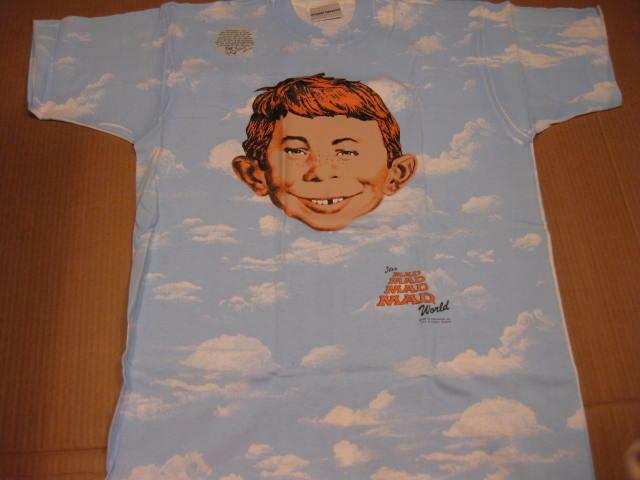 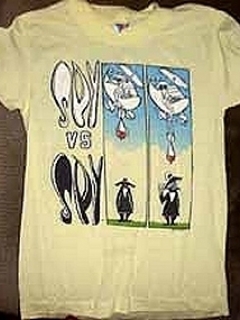 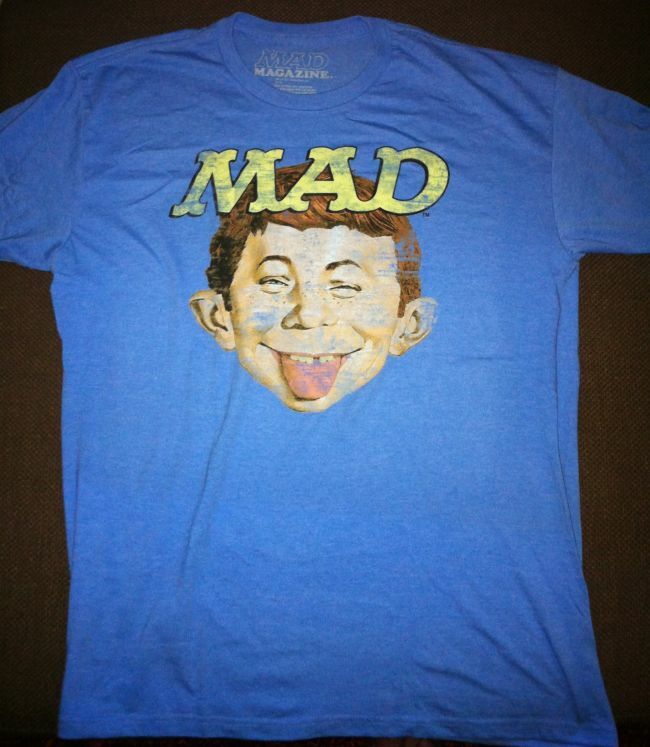 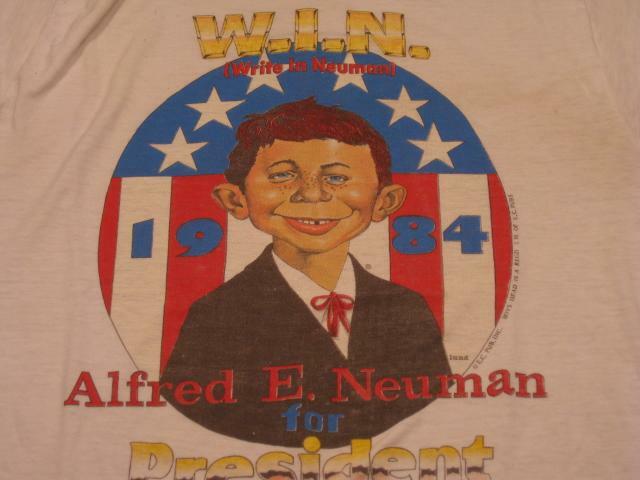 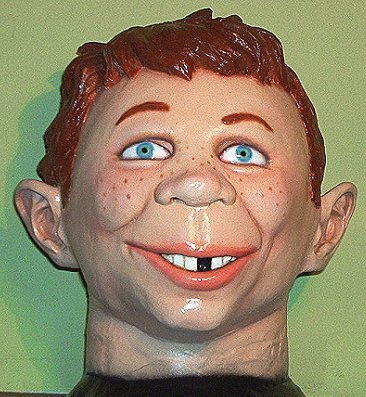 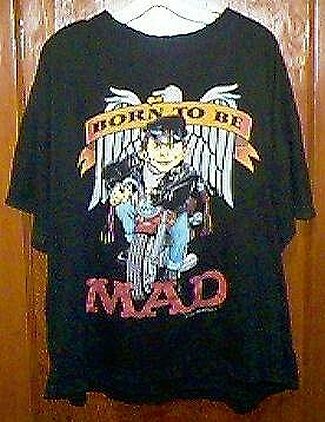 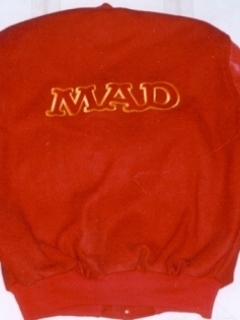 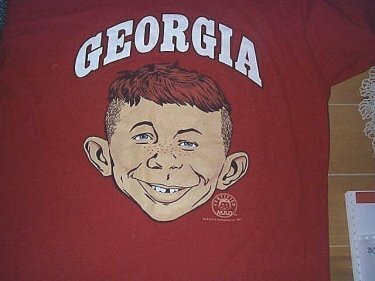 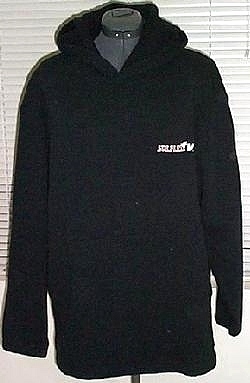 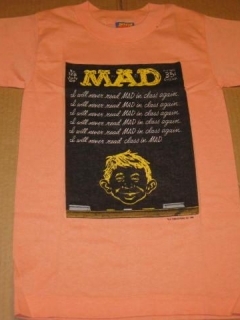 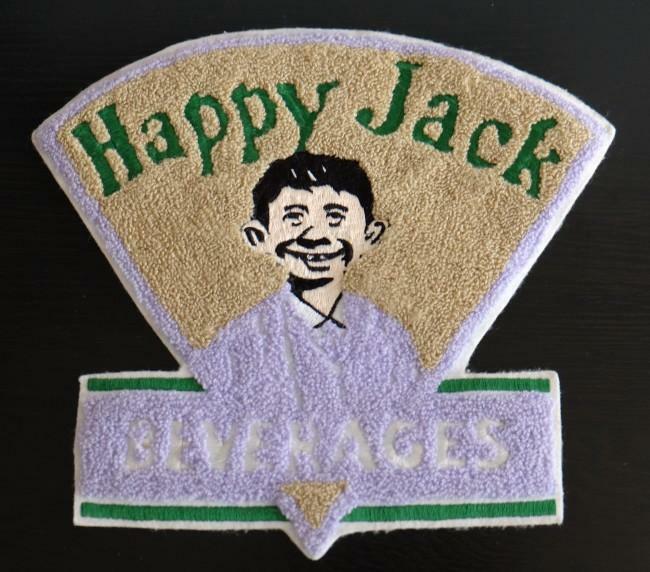 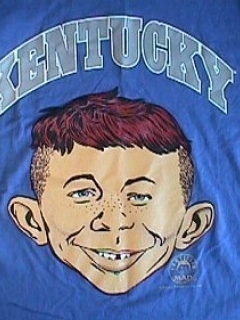 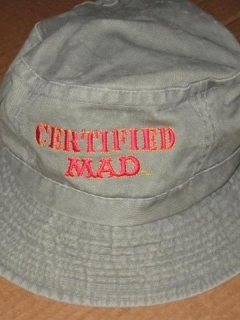 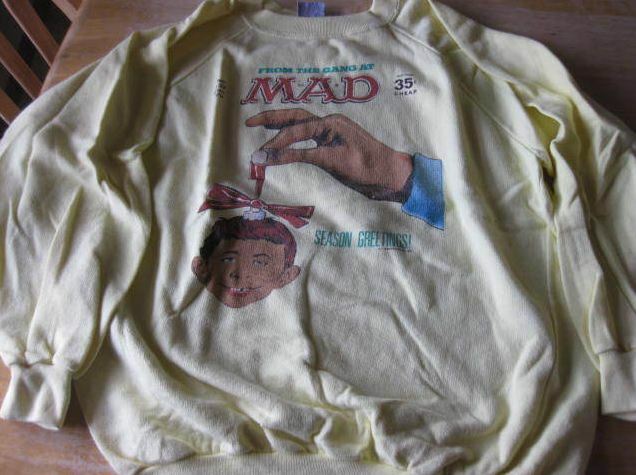 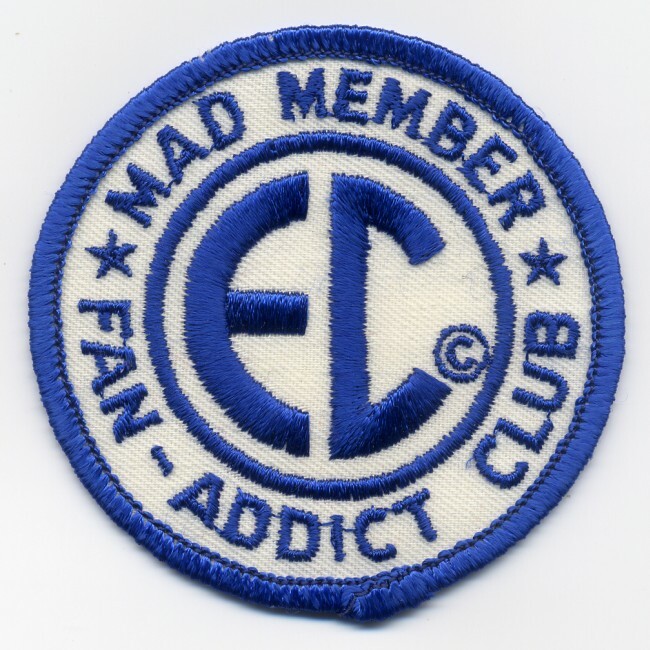 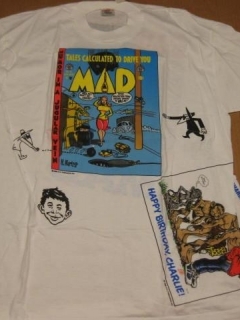 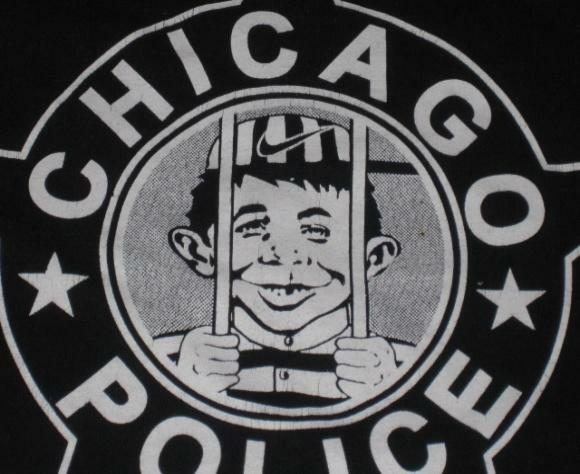 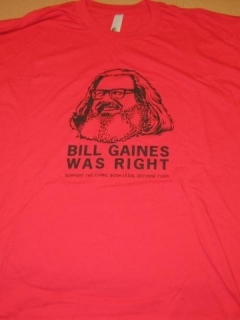 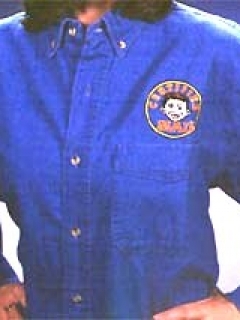 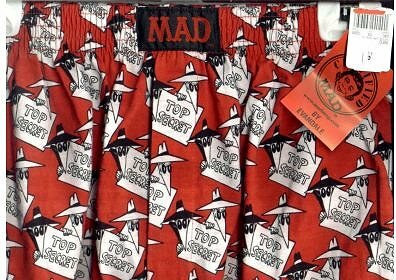 MAD Magazine and Alfred E. Neuman related cloths from U.S.A. are listed on this page, like shirts, jackets, trousers and other items. 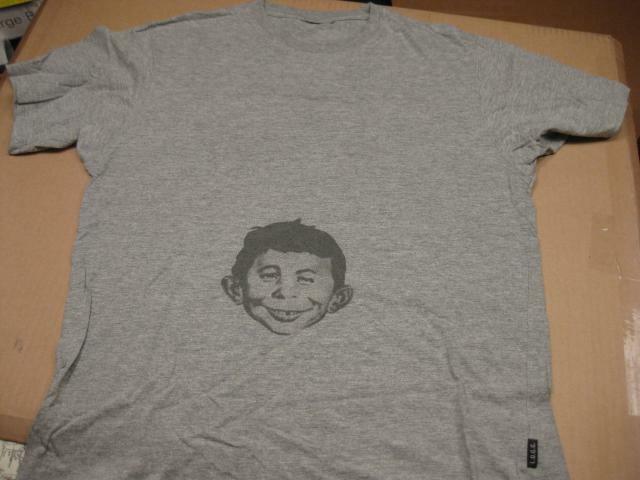 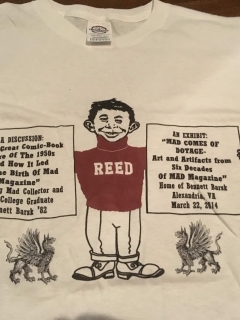 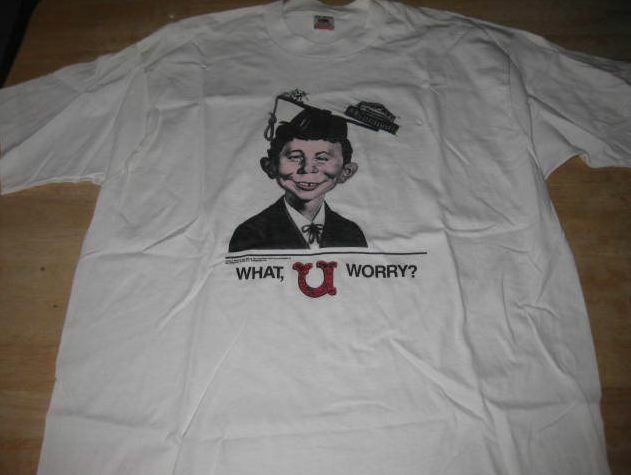 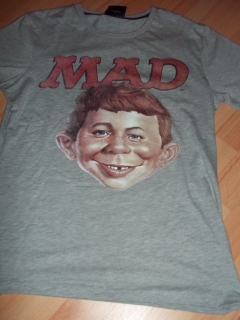 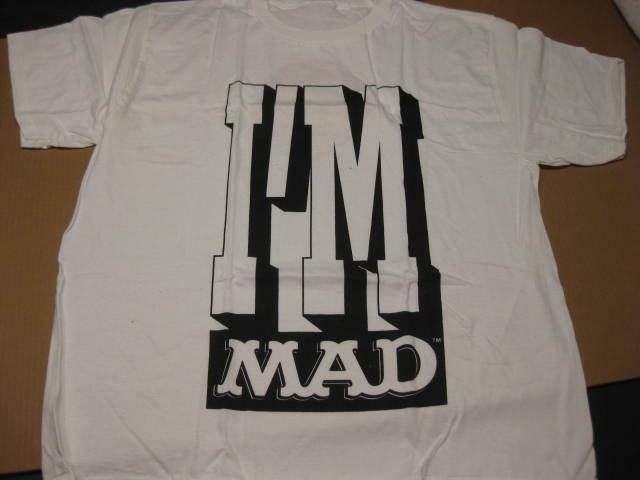 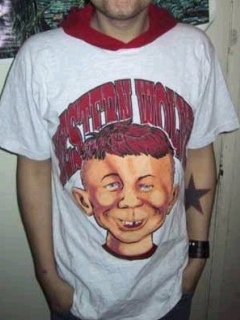 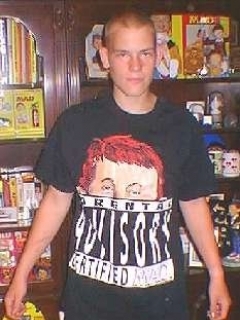 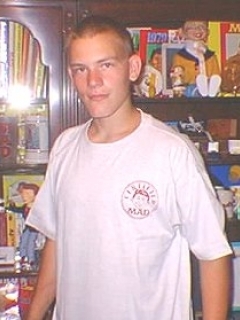 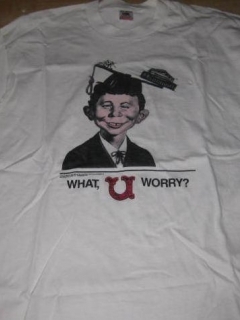 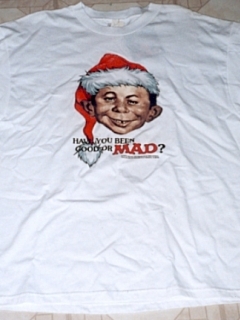 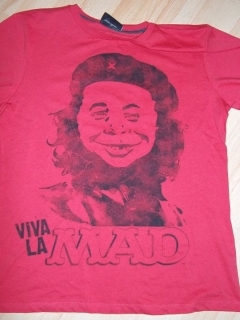 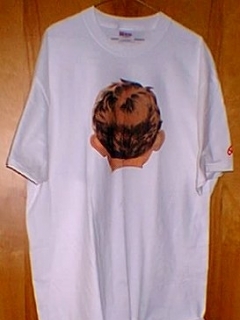 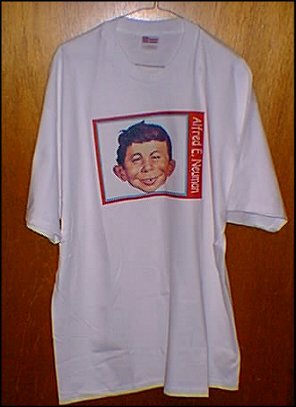 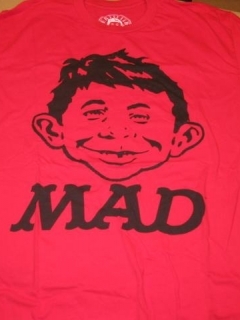 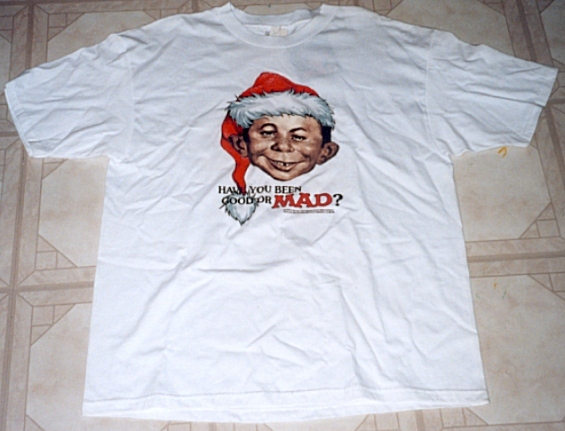 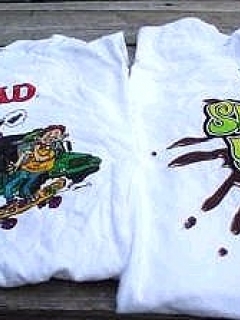 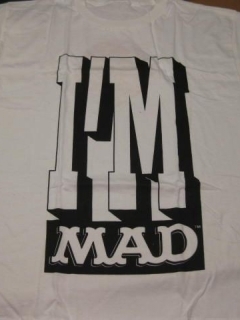 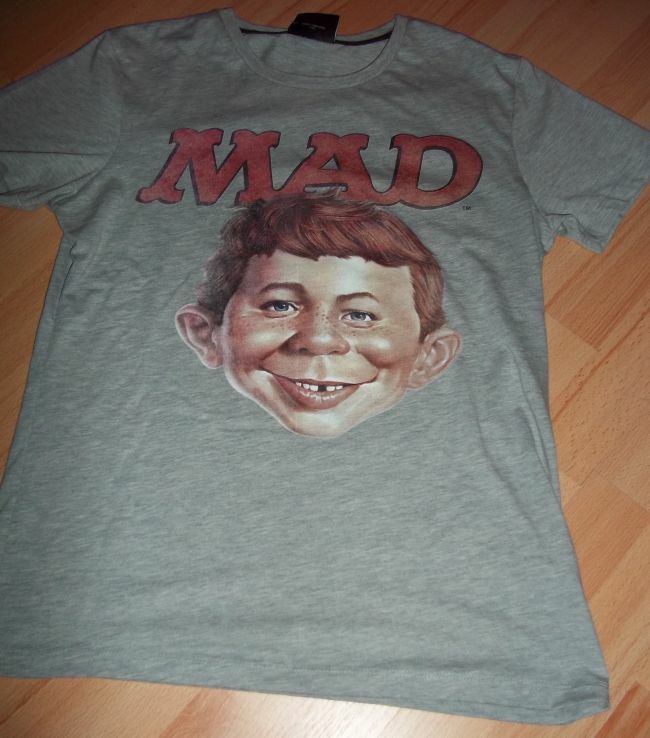 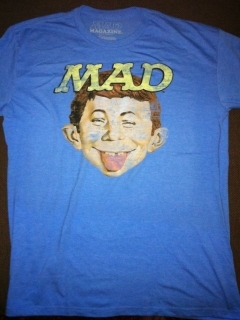 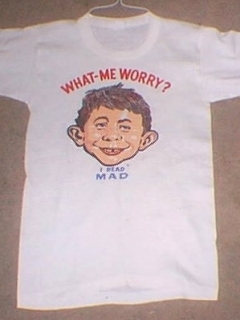 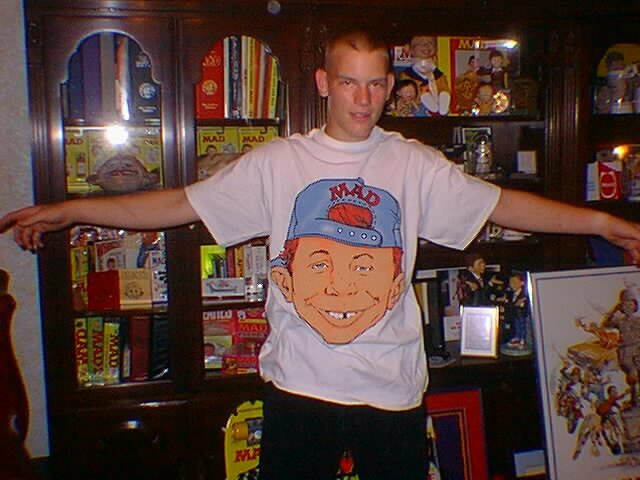 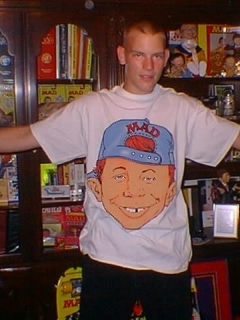 Alfred E. Neuman T-Shirt UBI "I'm MAD"
T-Shirt "I Will Never Read MAD In Class Again"
T-shirt Alfred E. Neuman / L.O.G.G. 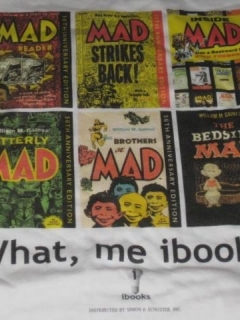 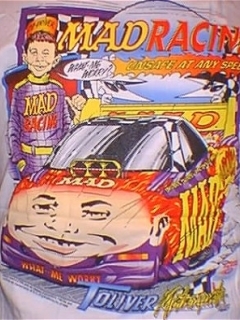 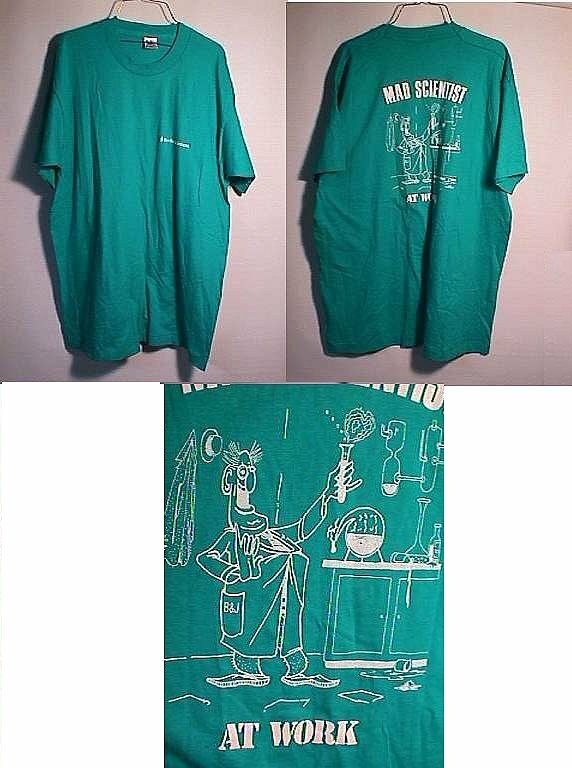 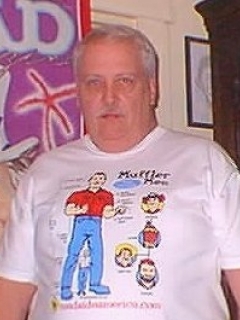 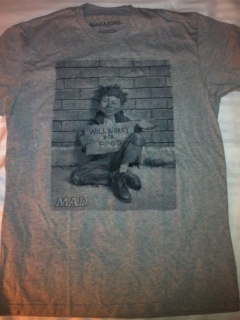 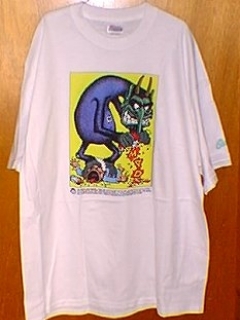 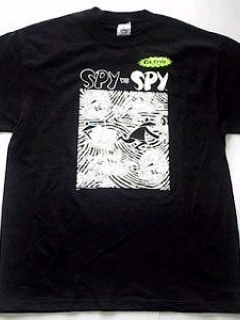 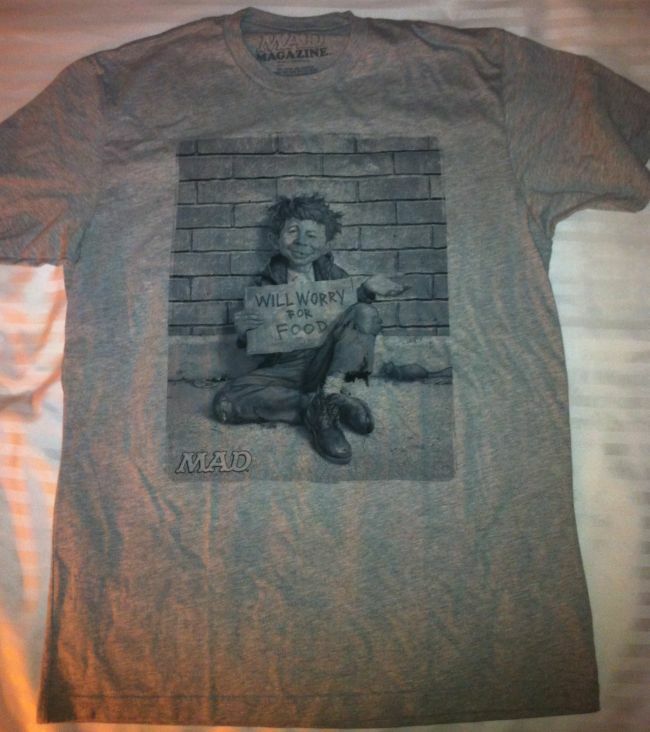 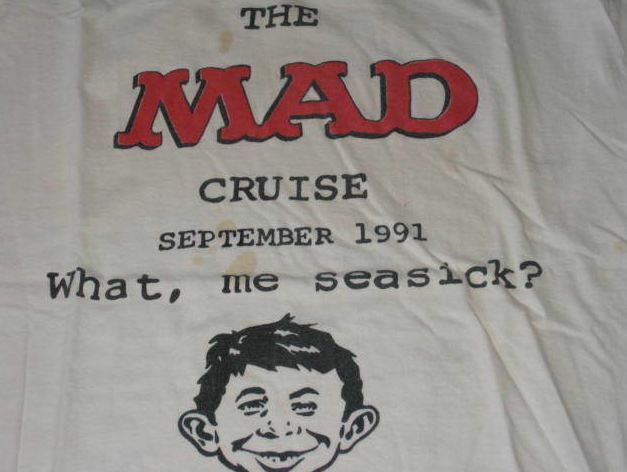 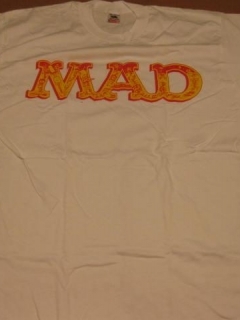 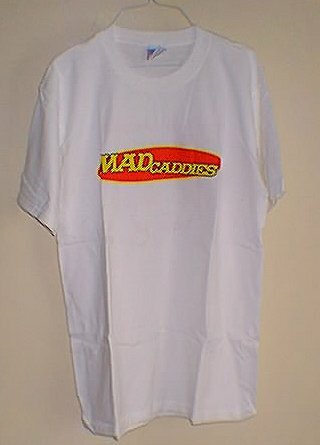 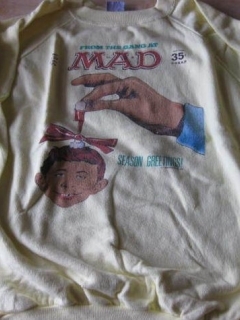 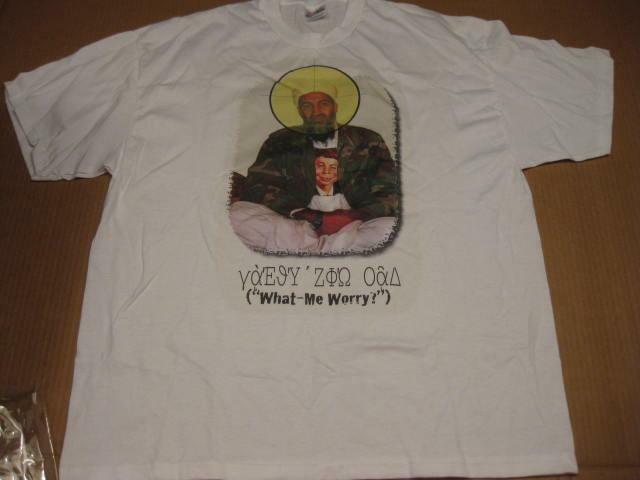 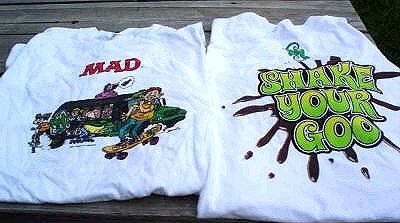 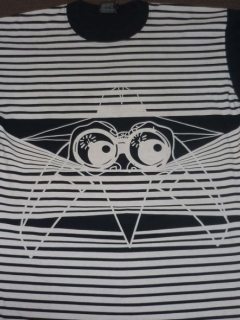 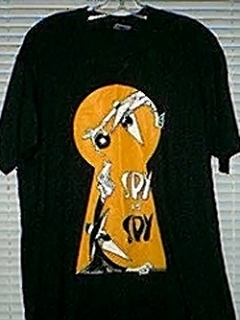 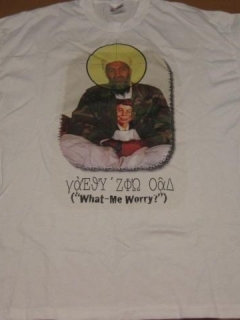 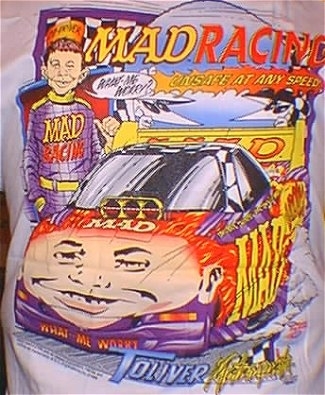 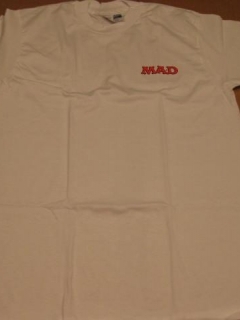 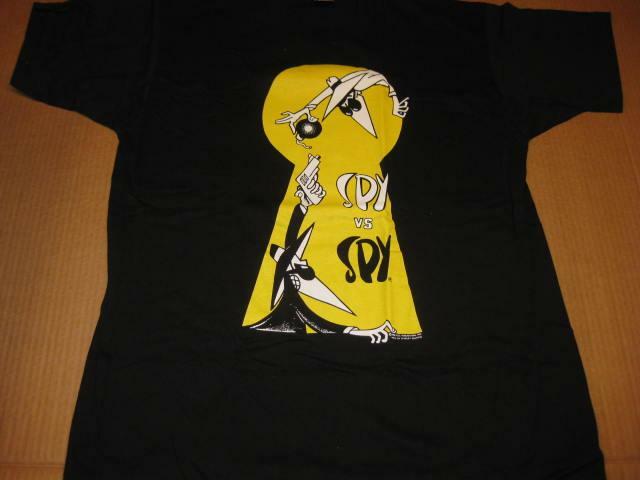 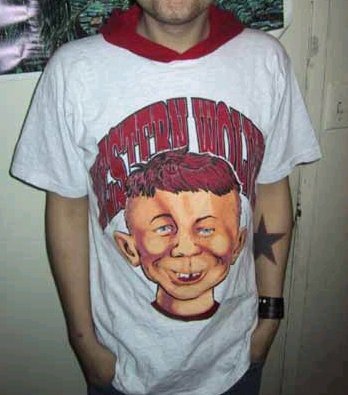 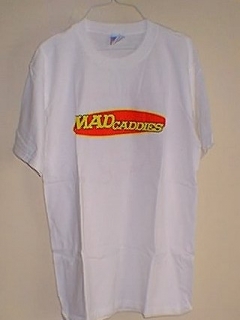 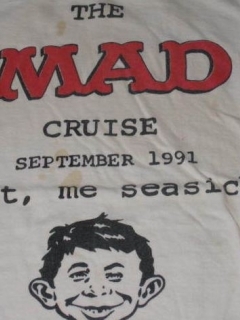 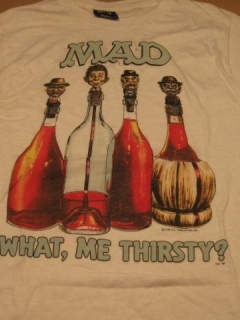 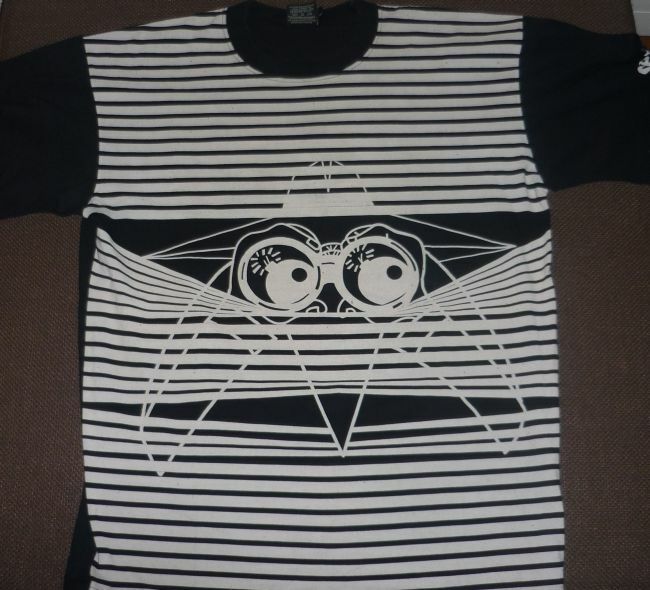 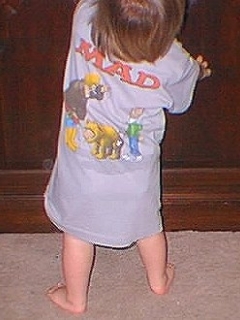 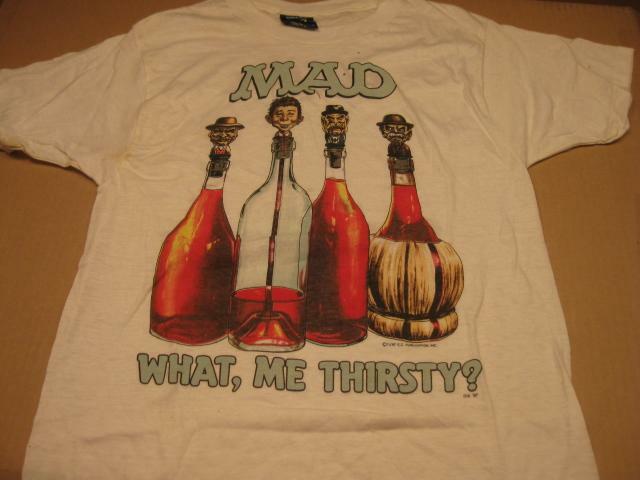 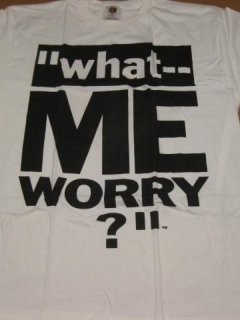 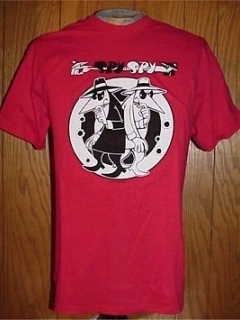 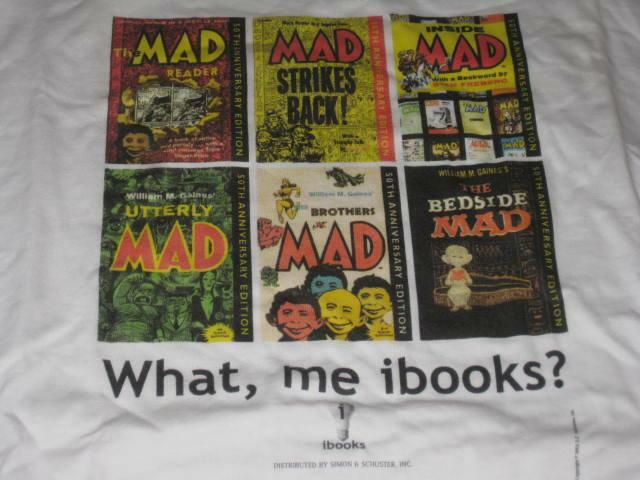 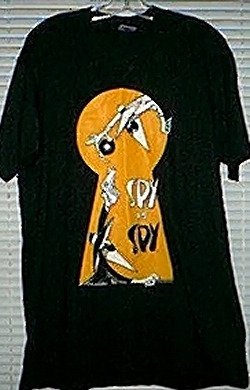 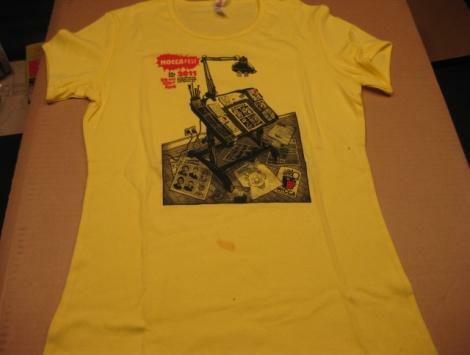 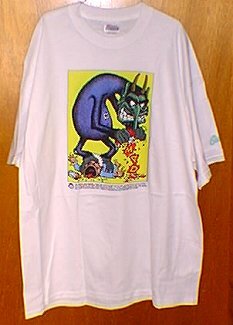 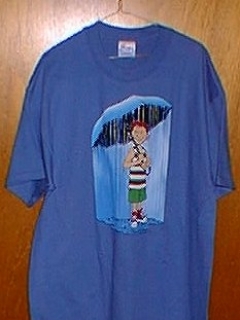 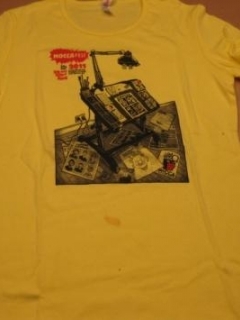 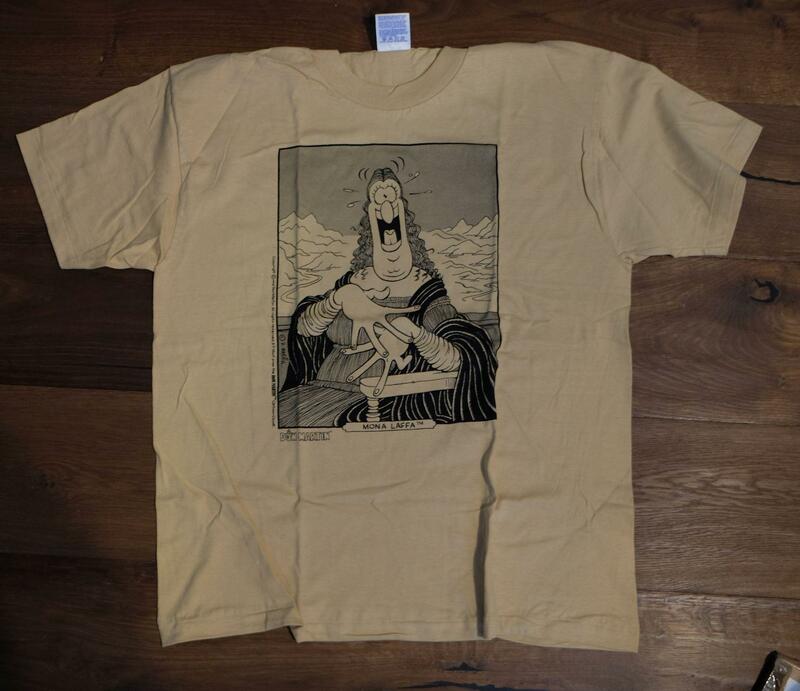 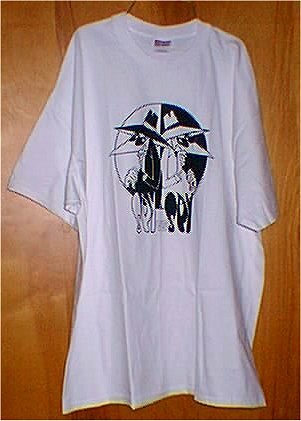 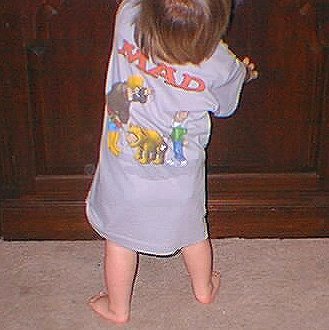 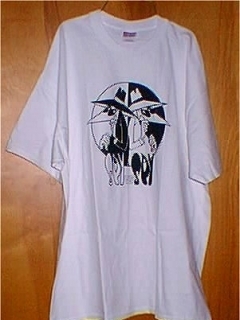 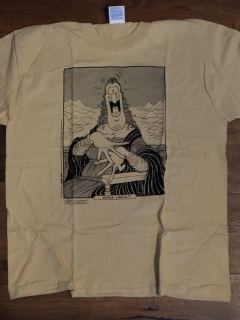 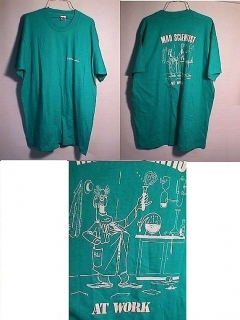 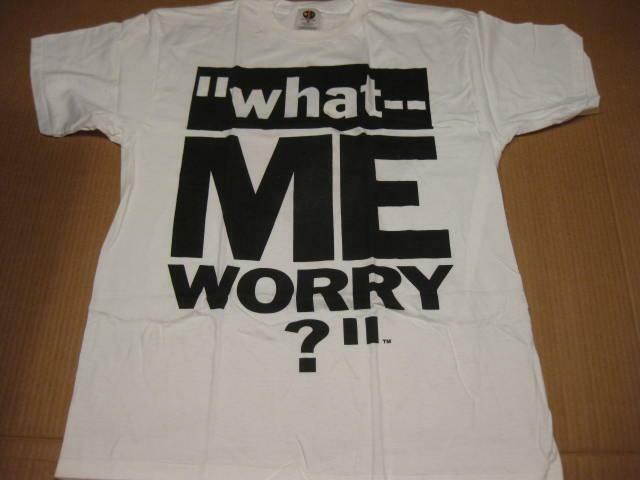 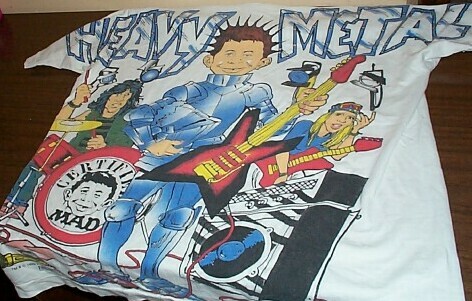 T-shirt MAD Magazine / "What - Me Thirsty?" 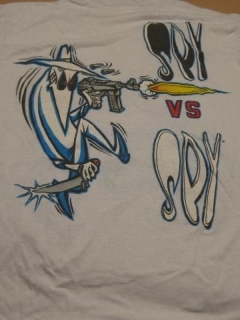 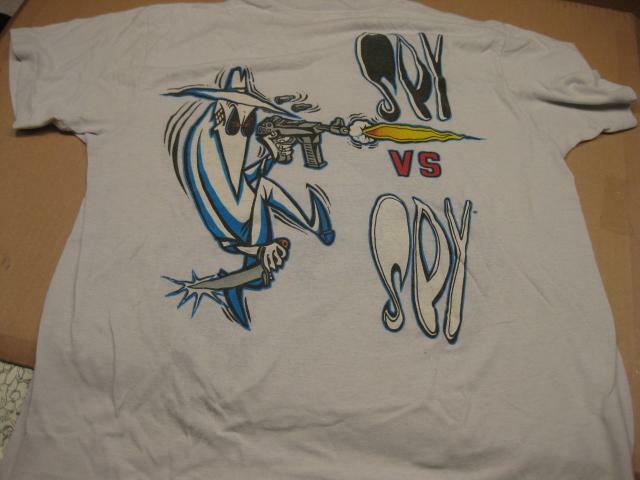 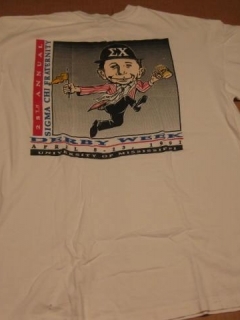 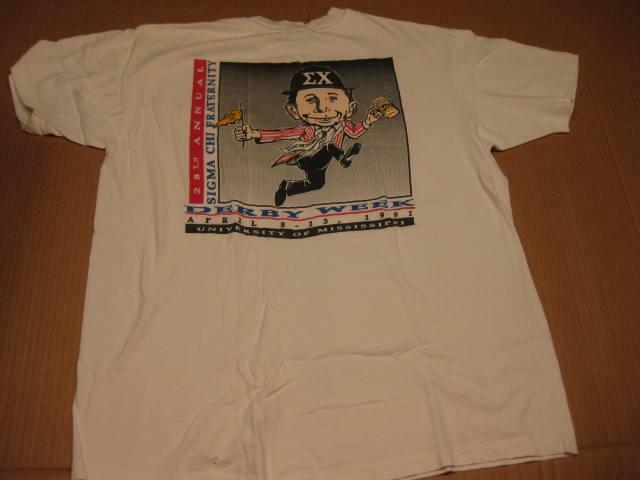 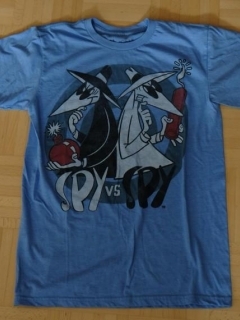 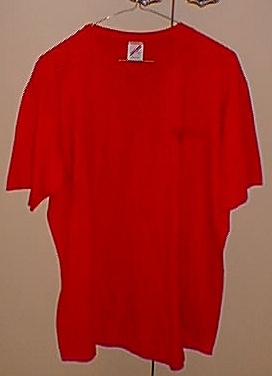 T-Shirt Sigma Chi Fraternity "Derby Week"